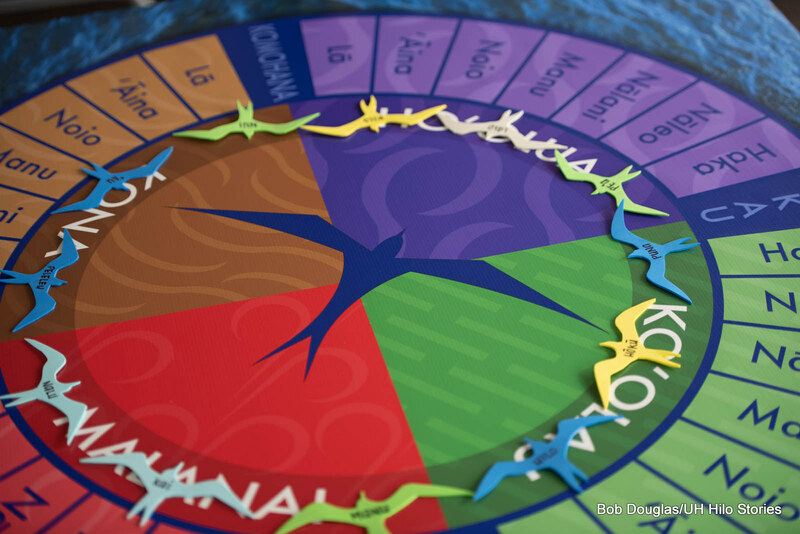 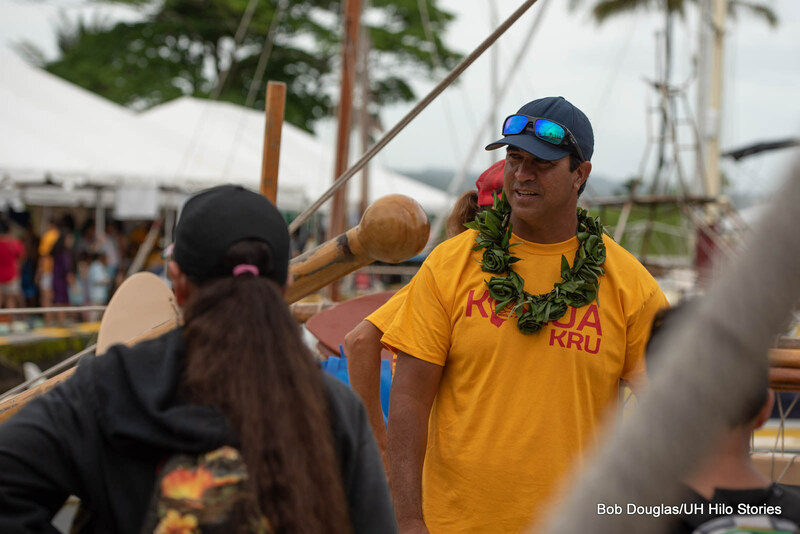 Crew members gave presentations, canoe tours, and shared wayfinding lore and lessons learned from the Mālama Honua Worldwide Voyage. 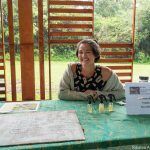 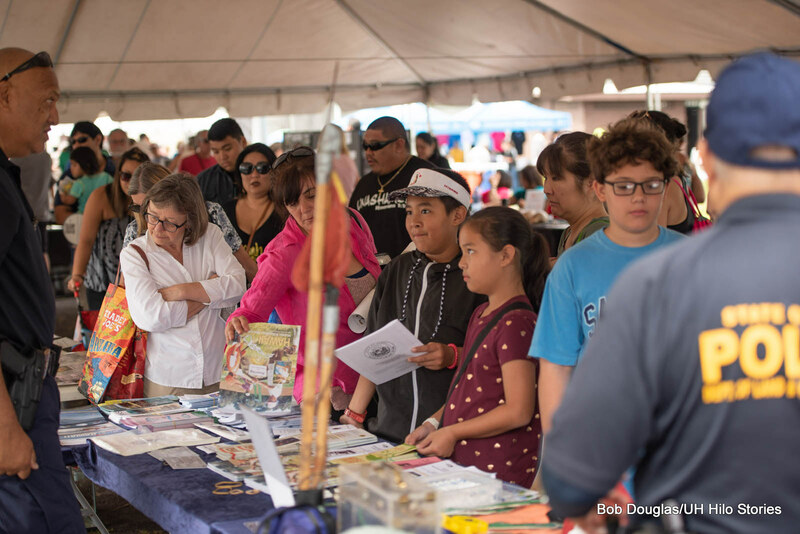 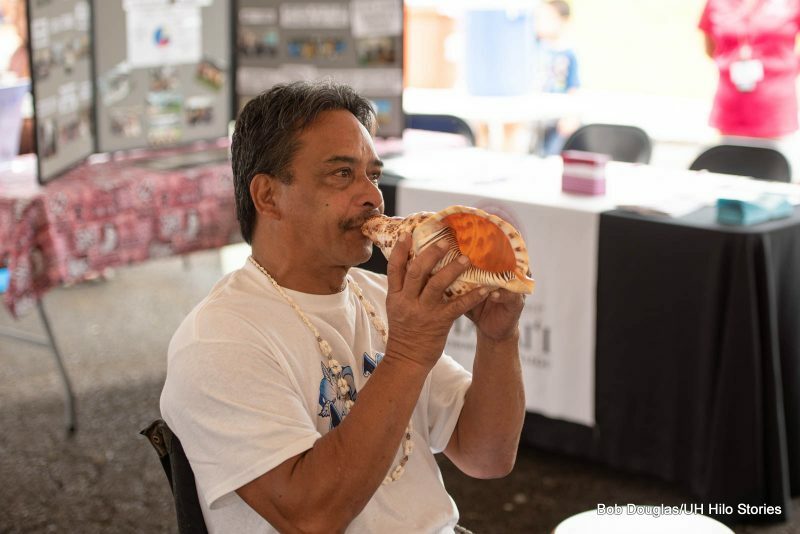 UH Hilo co-sponsored an educational expo featuring programs that promote “mālama honua” or care for the planet. 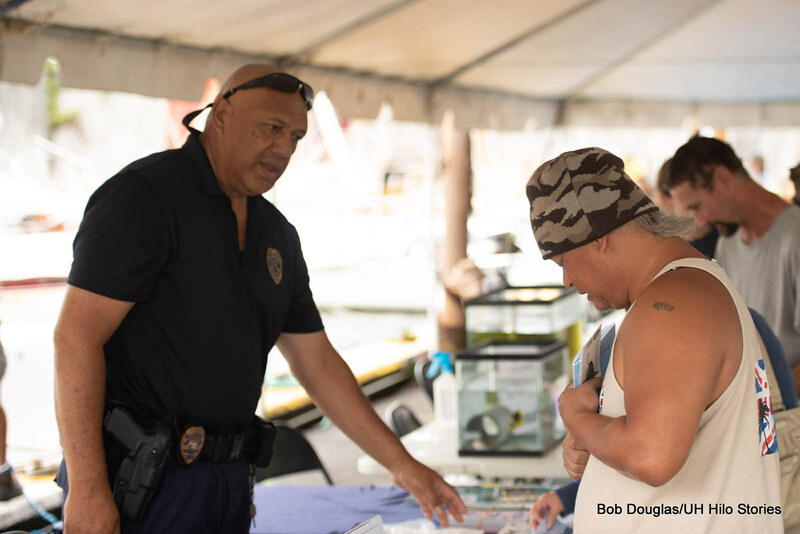 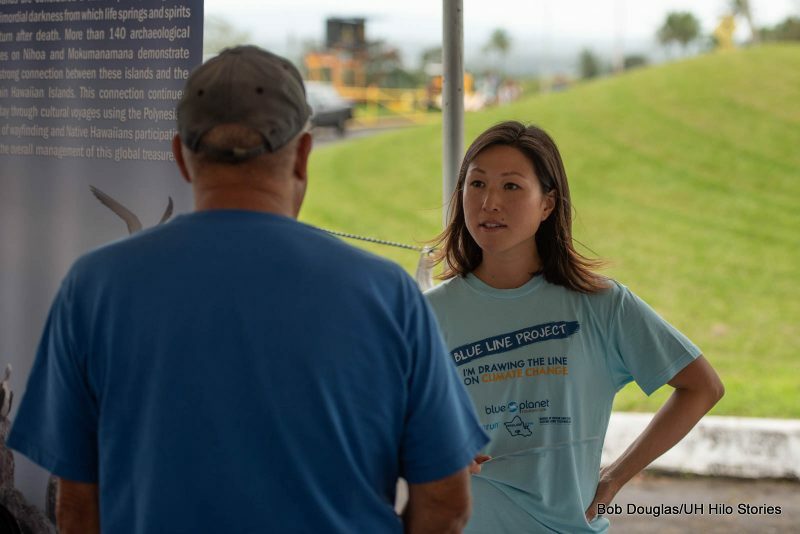 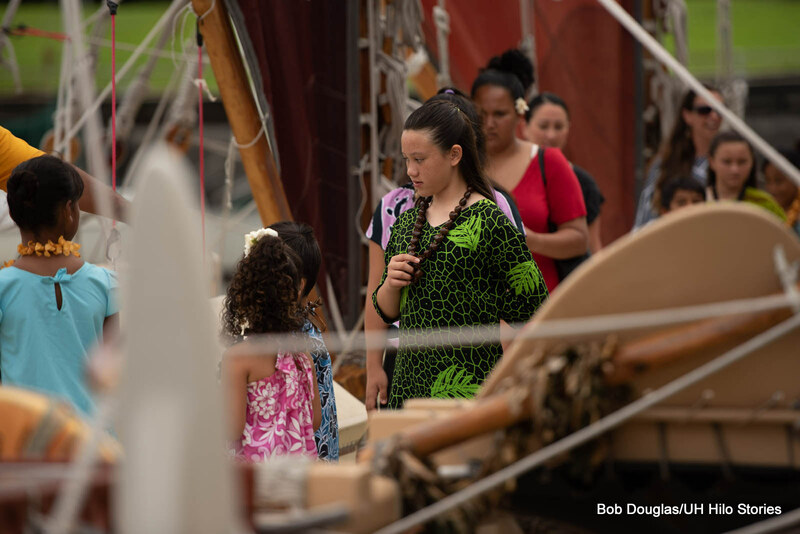 The crew of the sailing canoe, Hōkūle’a, gave free tours on April 21, at Wailoa Pier, where UH Hilo co-sponsored an educational expo for the public. 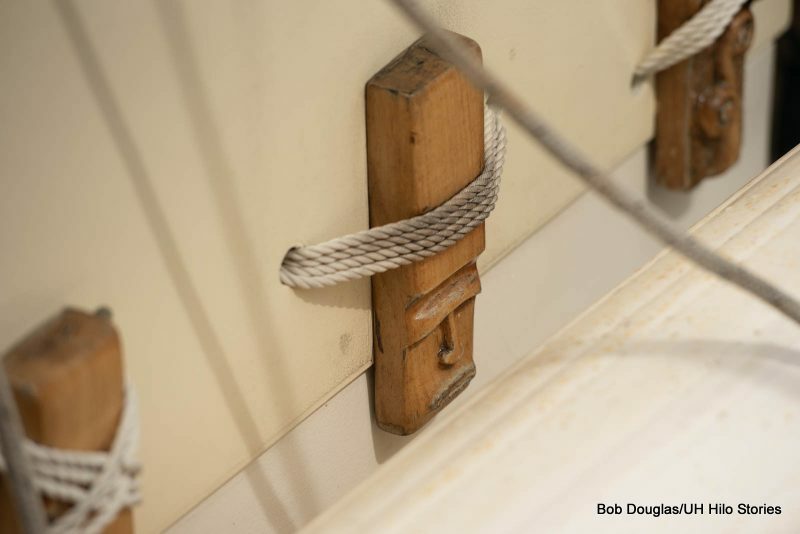 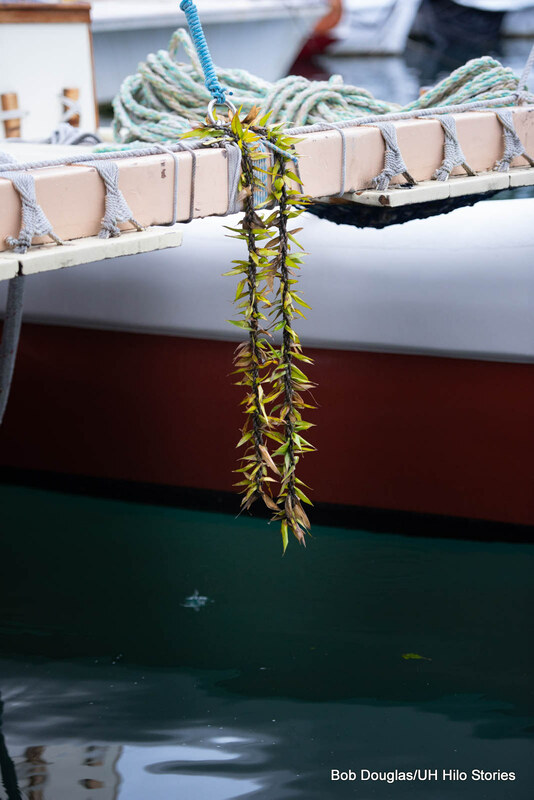 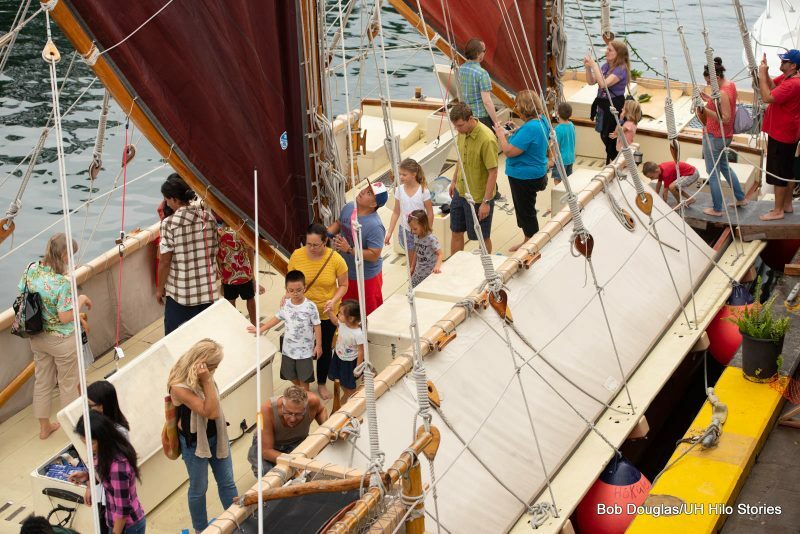 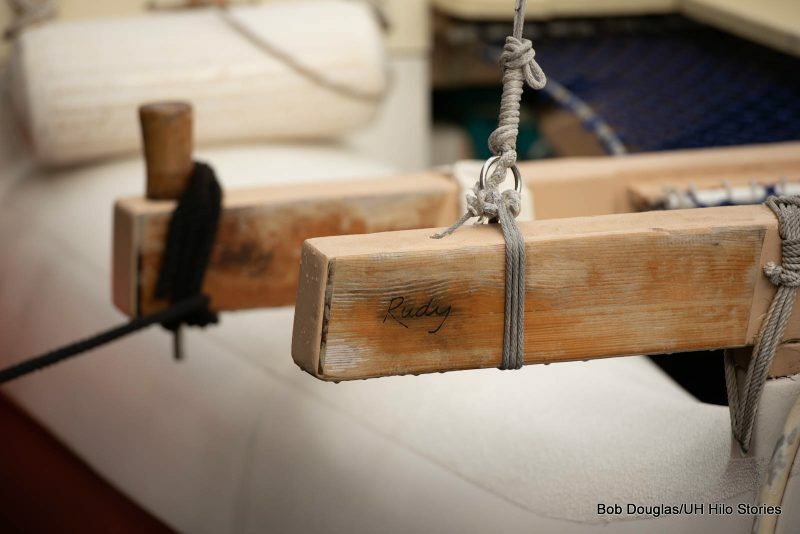 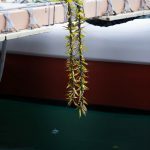 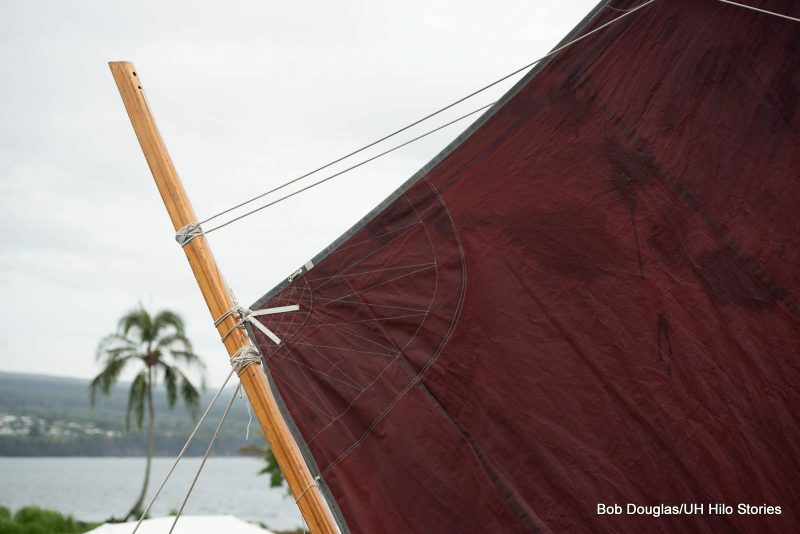 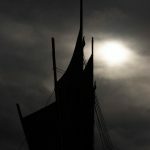 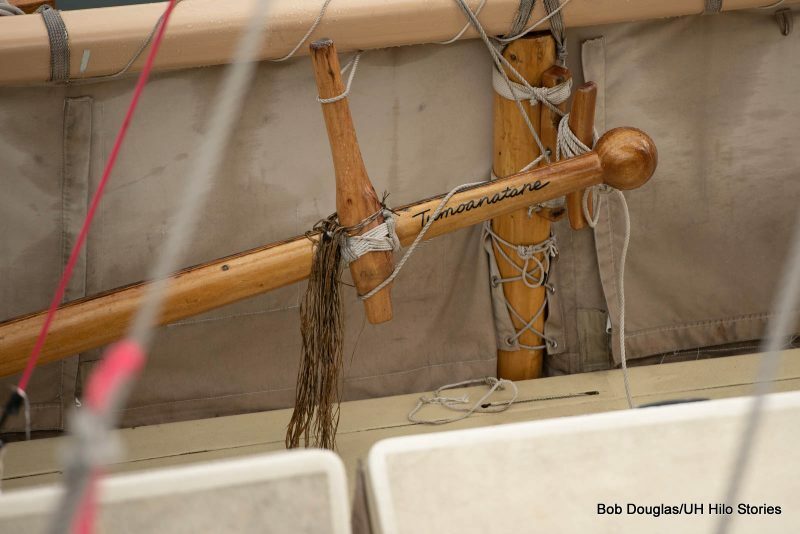 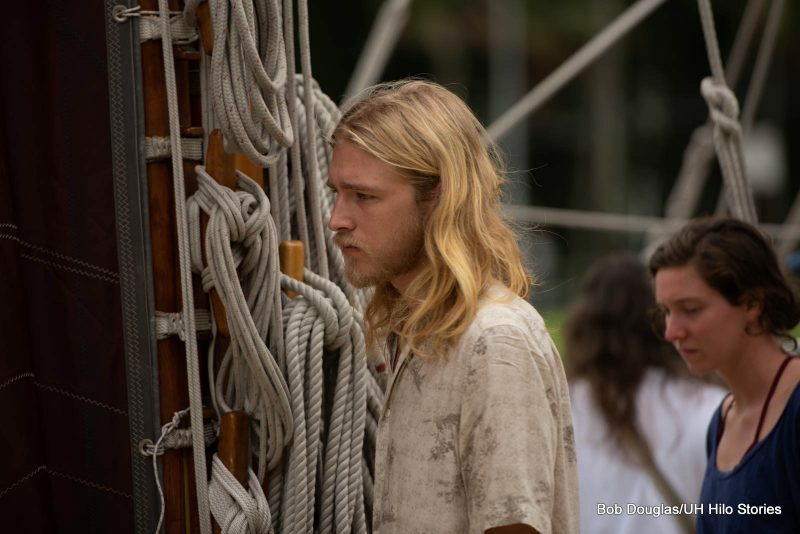 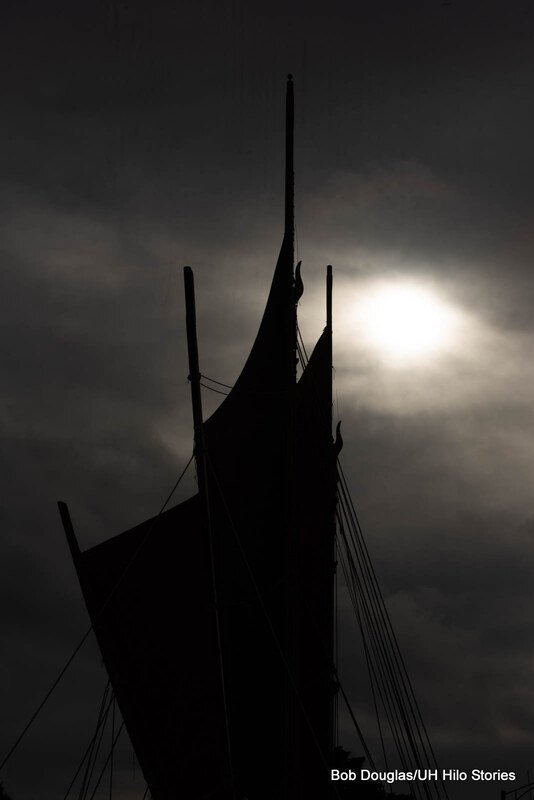 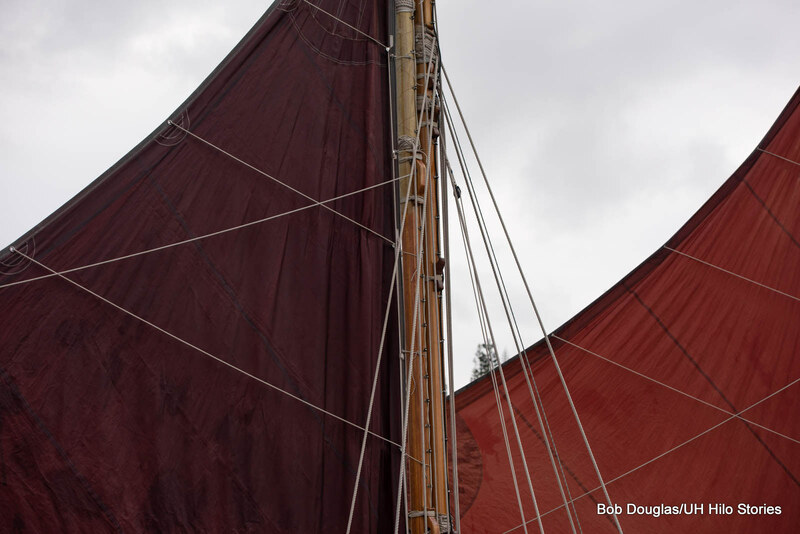 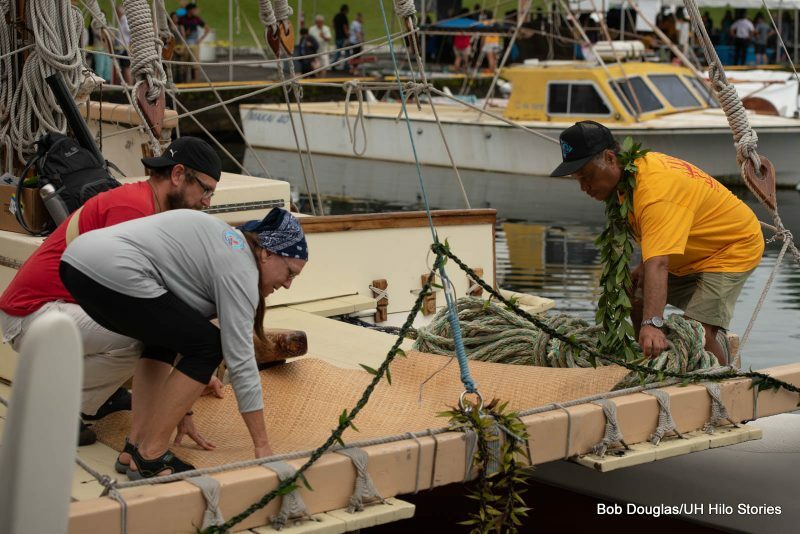 The iconic Hawaiian double-hulled sailing canoe, Hōkūle’a, was docked in Hilo for a few days last week while on its “Mahalo Hawaiʻi Sail.” The crew gave free tours of the canoe on Saturday, April 21, at Wailoa Pier, where the University of Hawai‘i at Hilo co-sponsored an educational expo for the public. 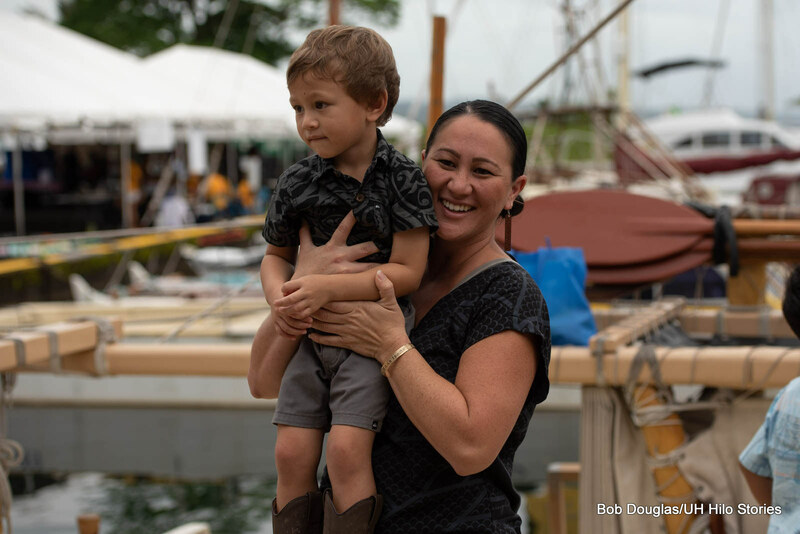 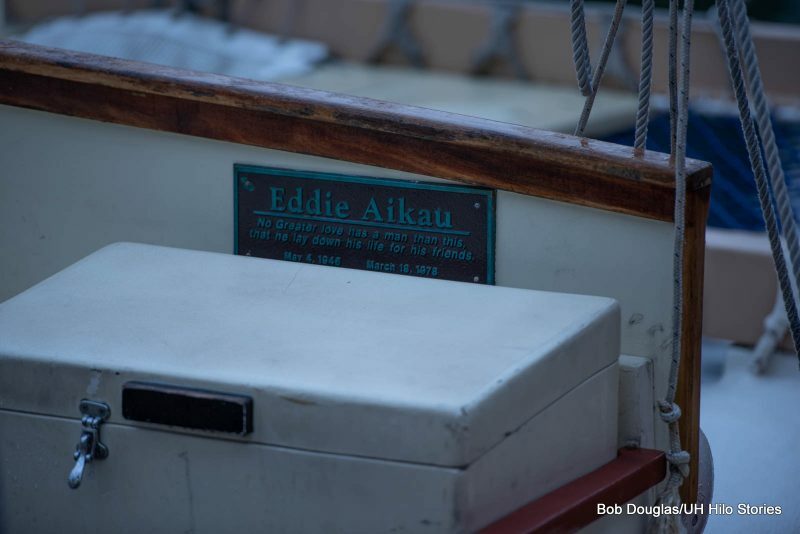 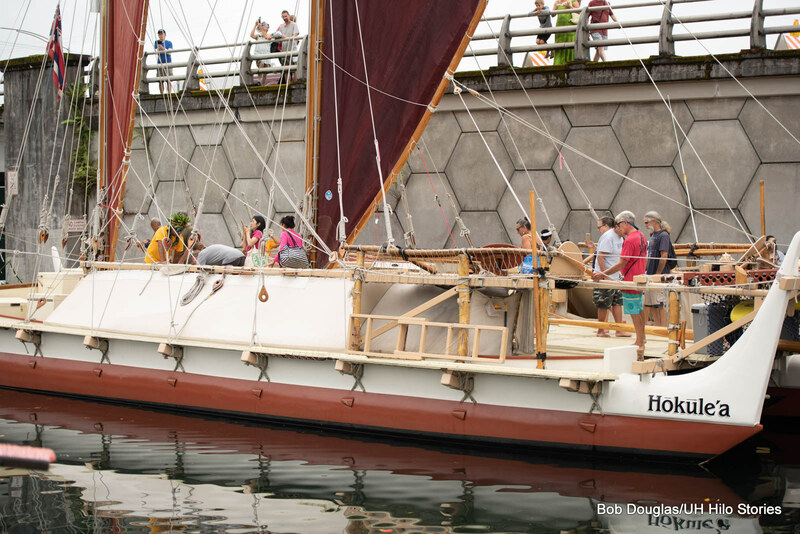 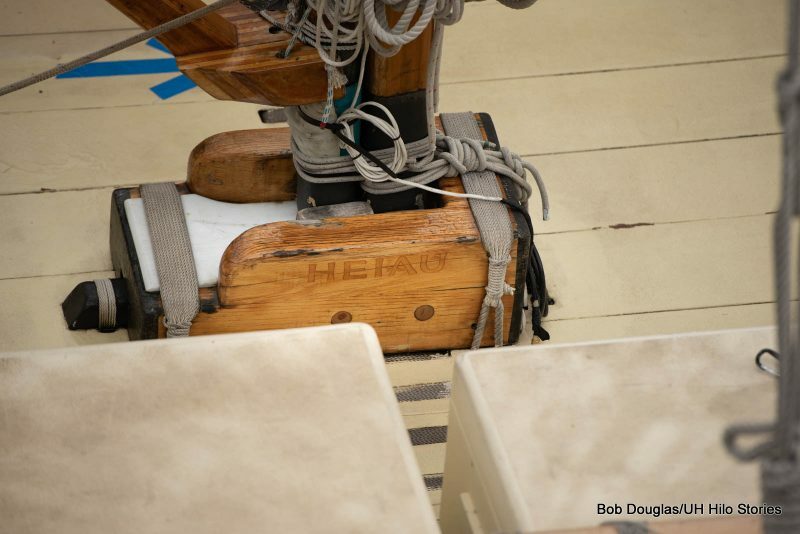 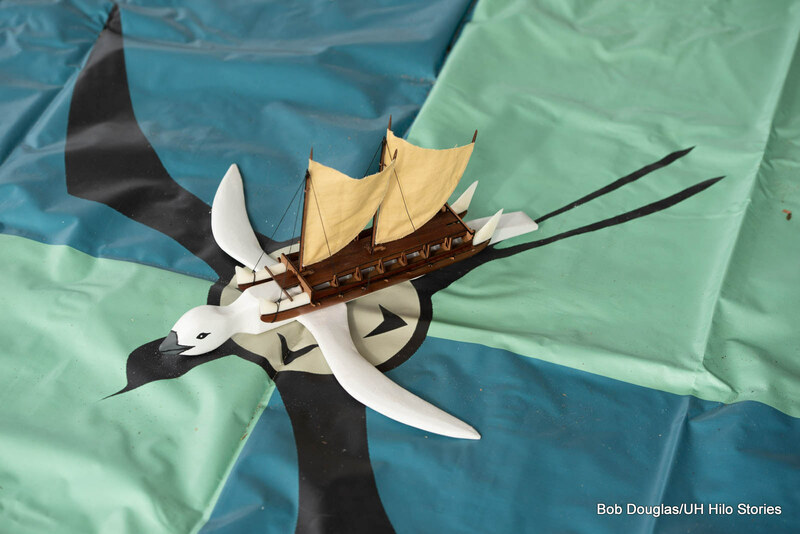 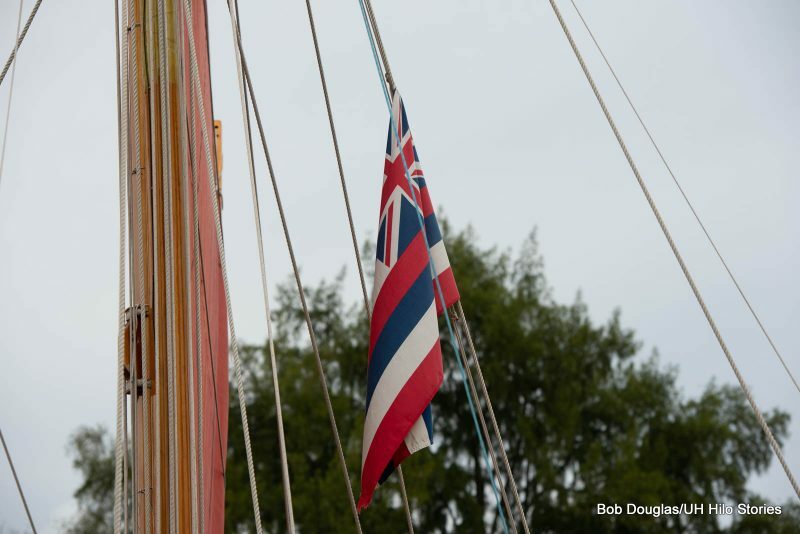 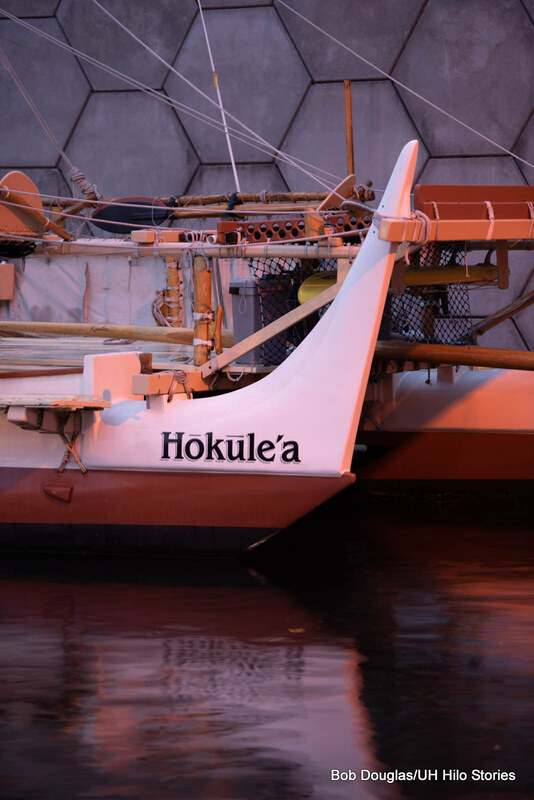 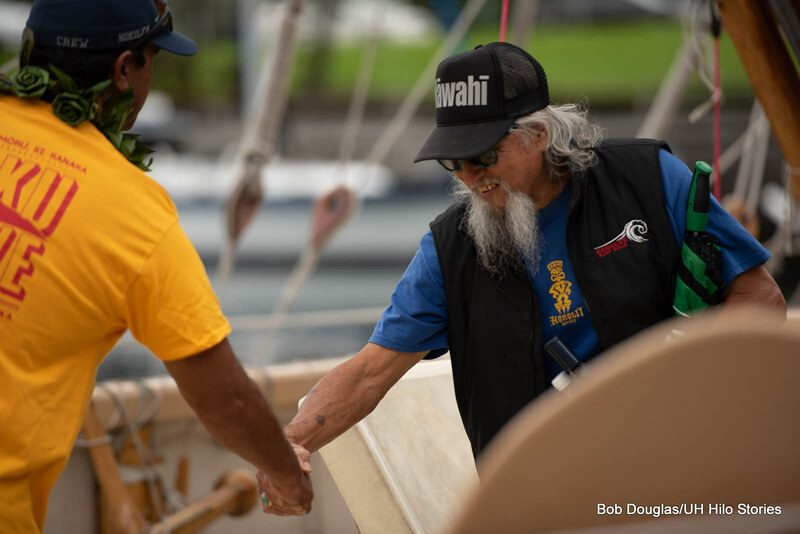 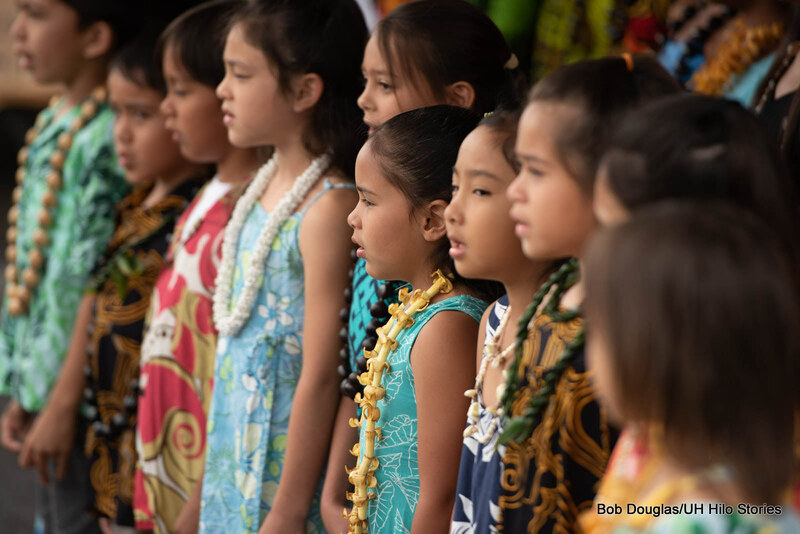 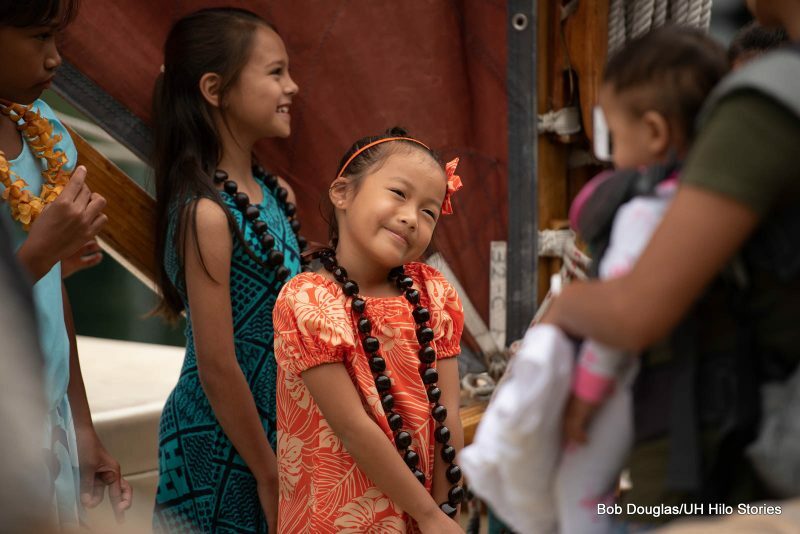 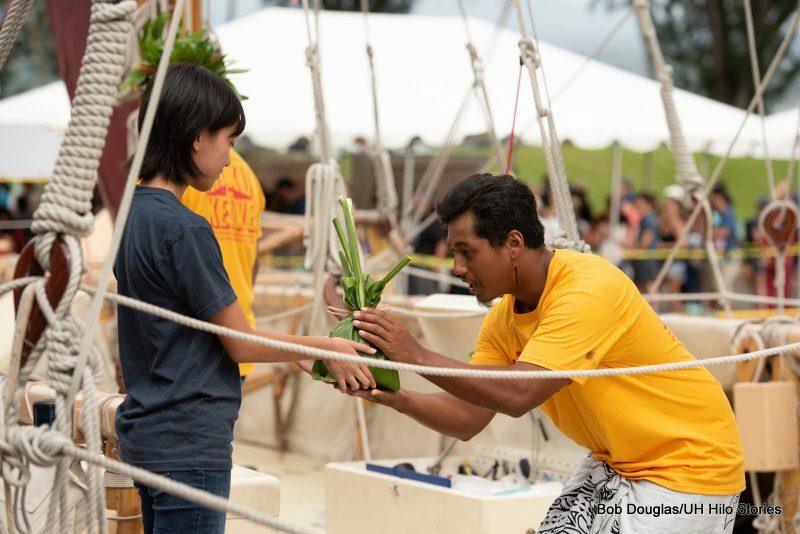 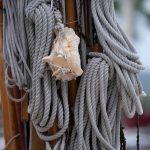 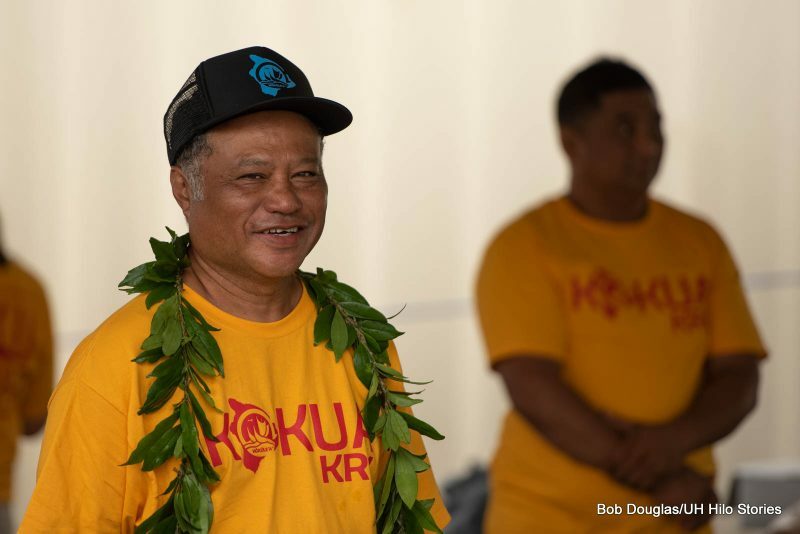 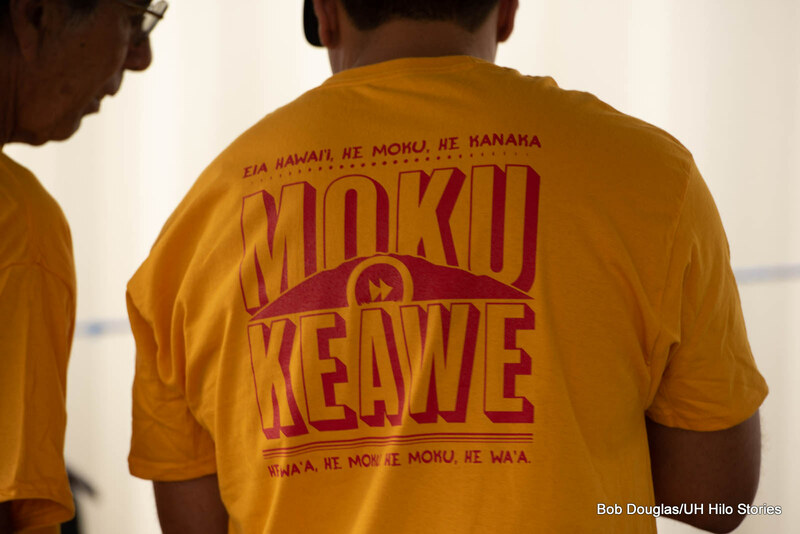 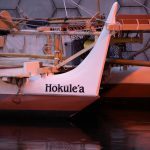 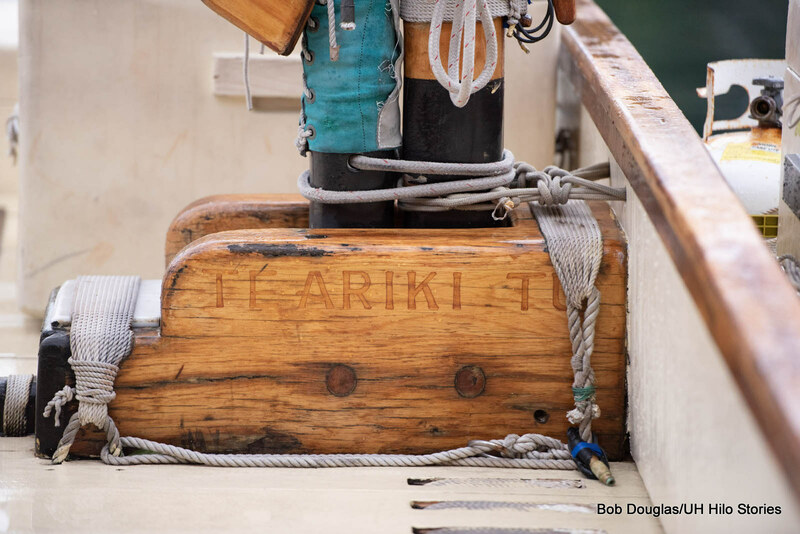 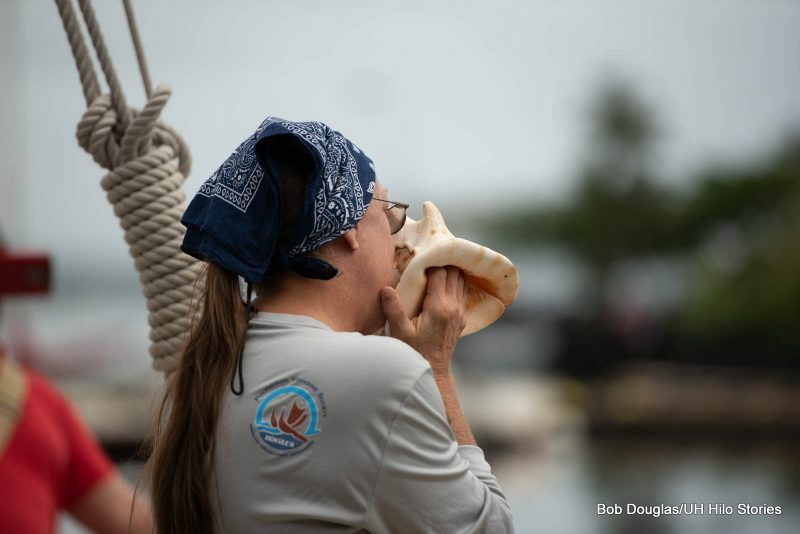 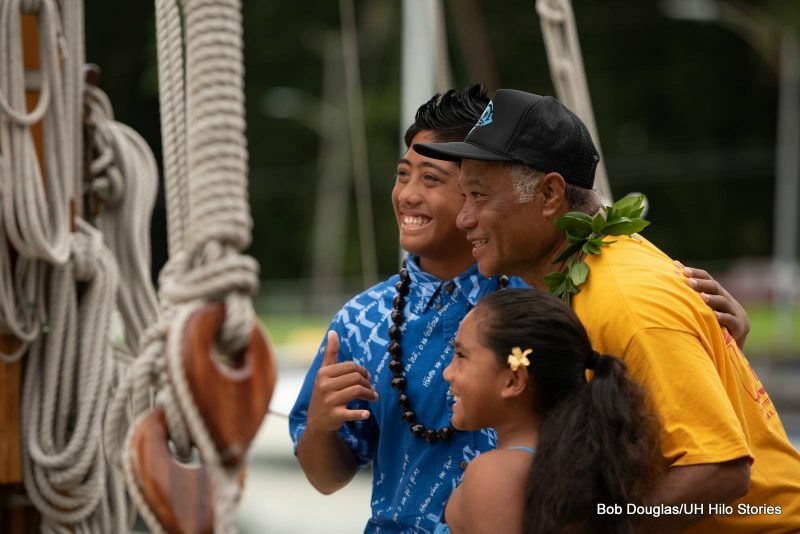 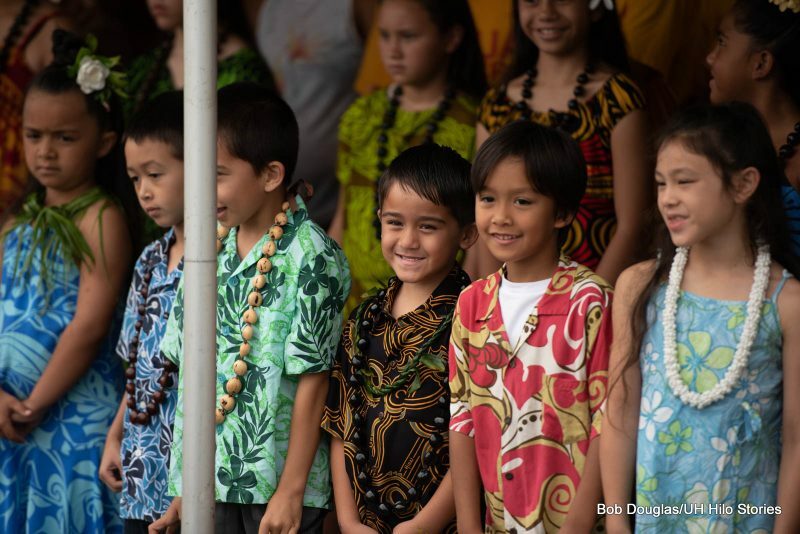 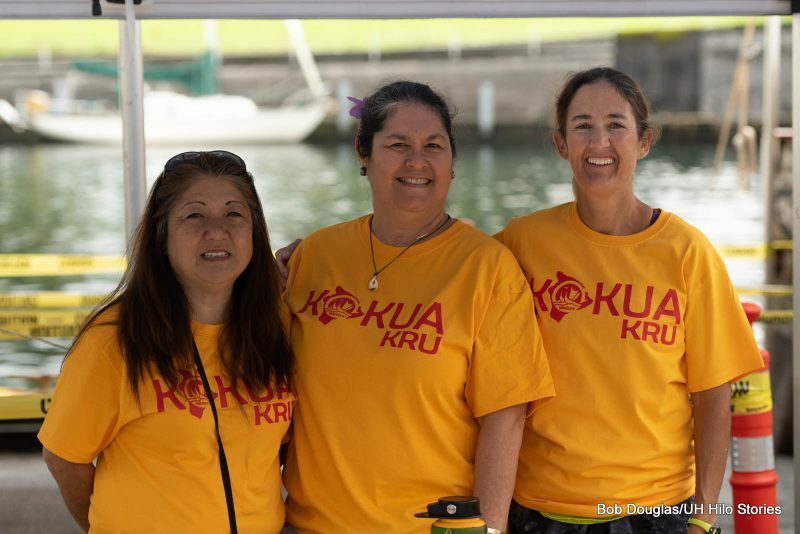 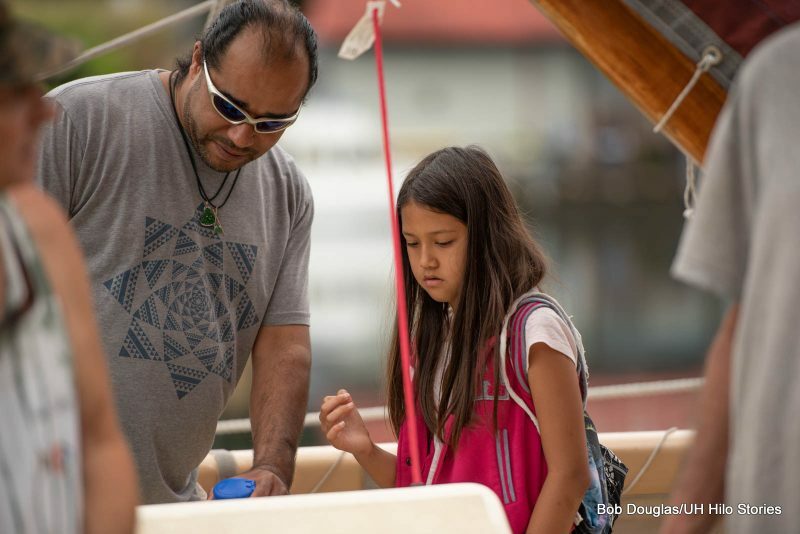 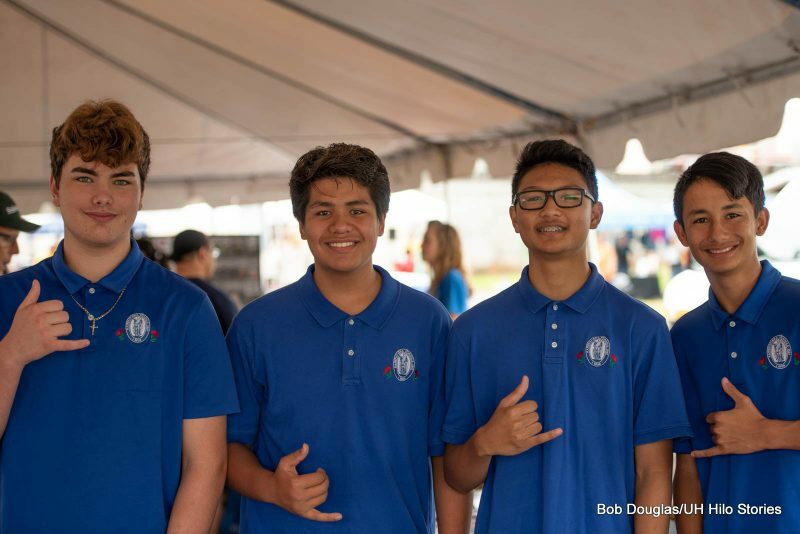 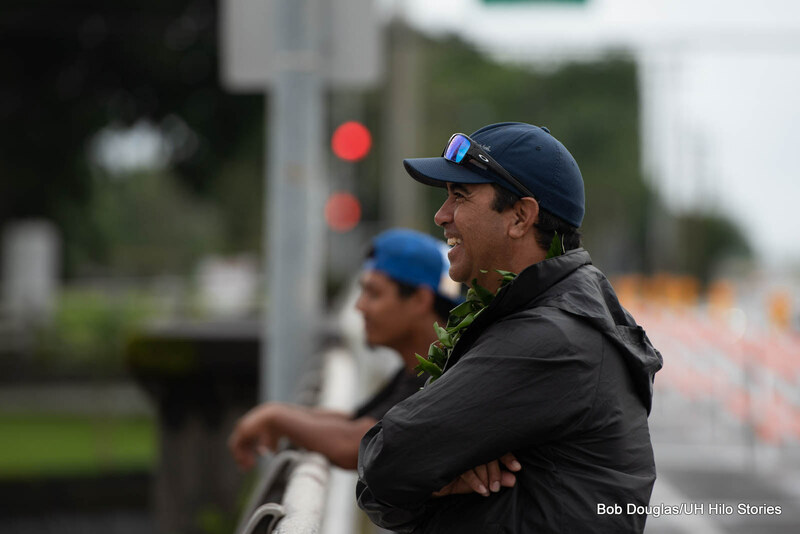 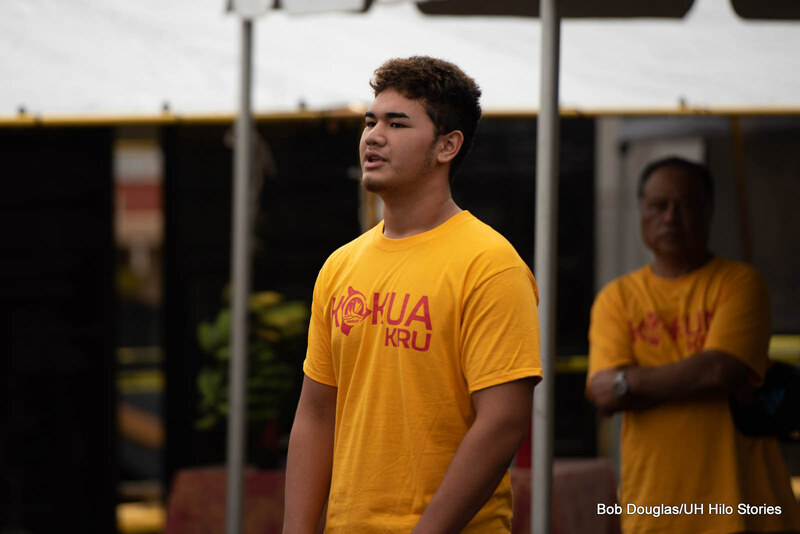 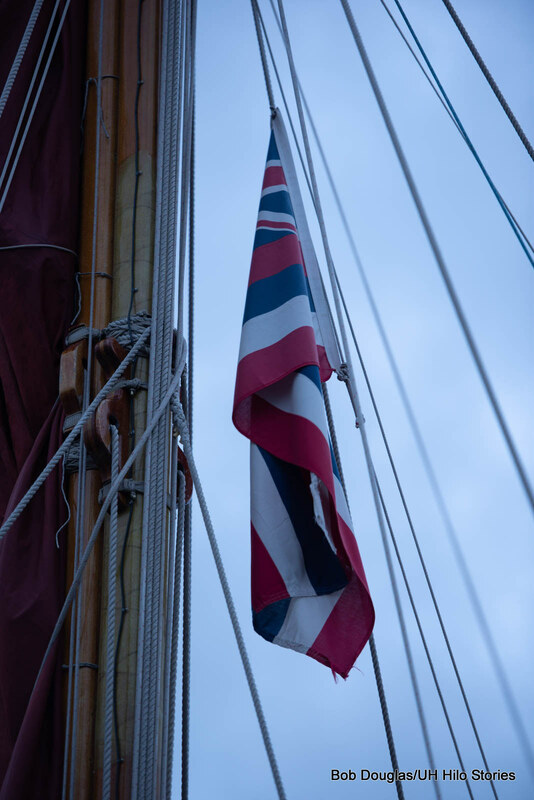 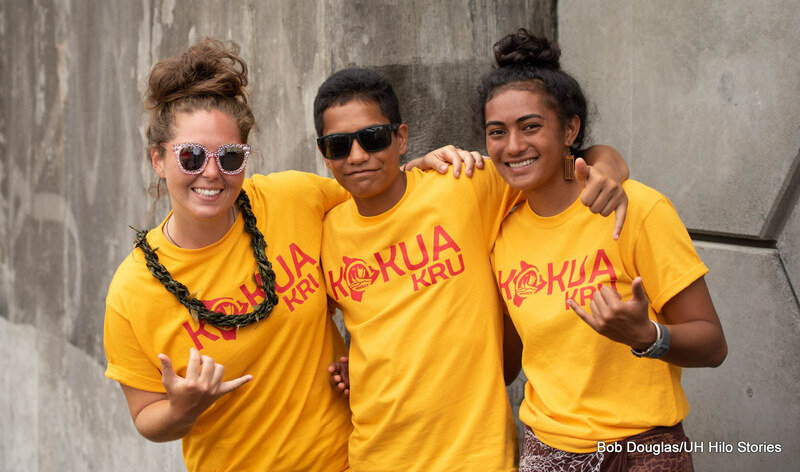 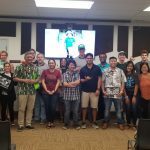 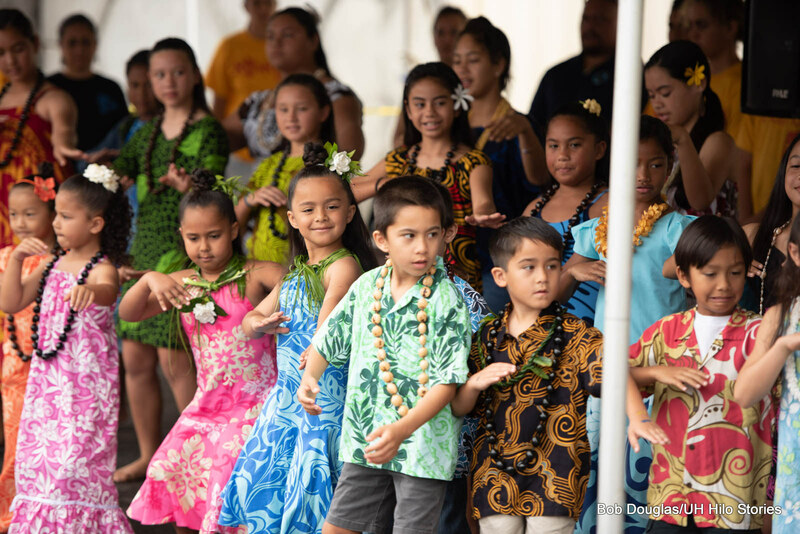 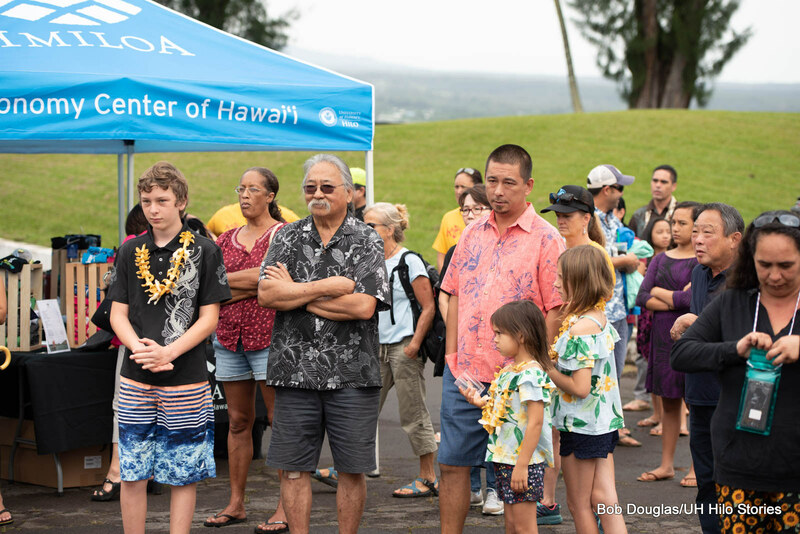 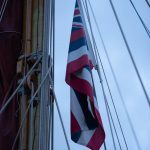 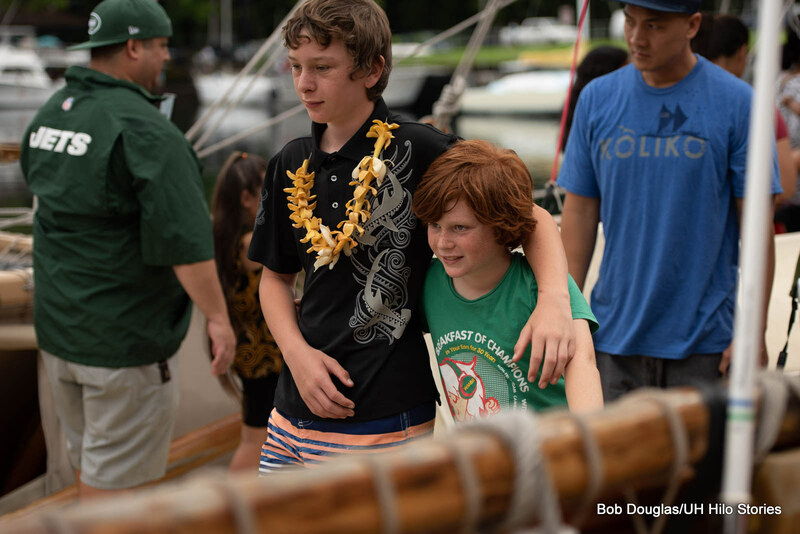 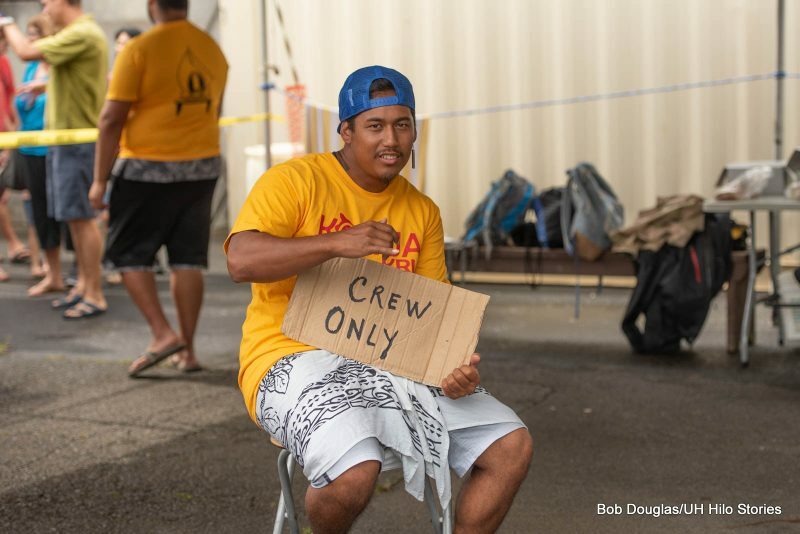 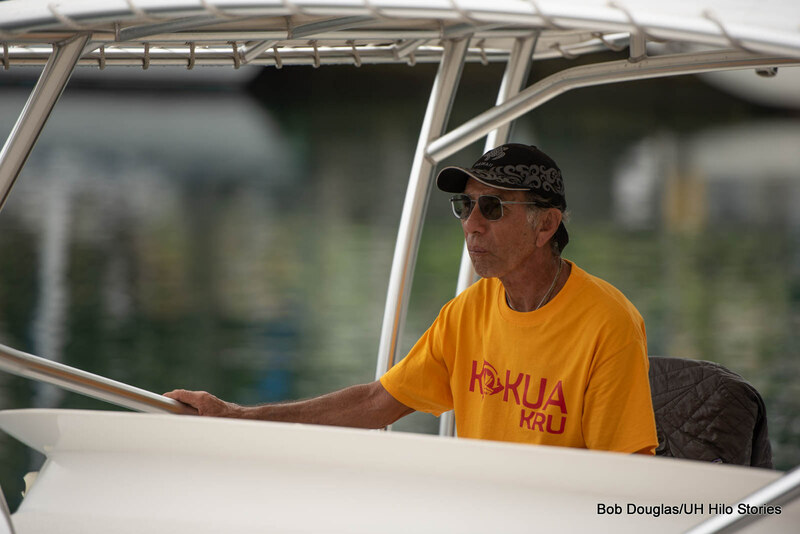 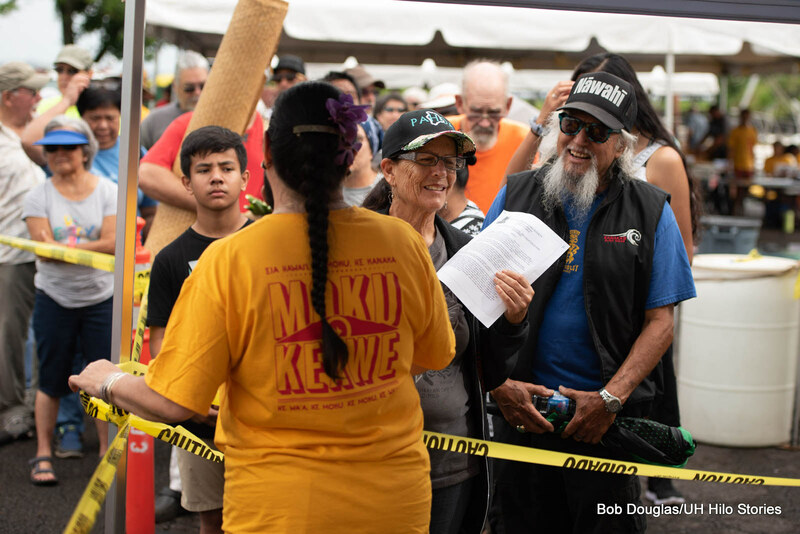 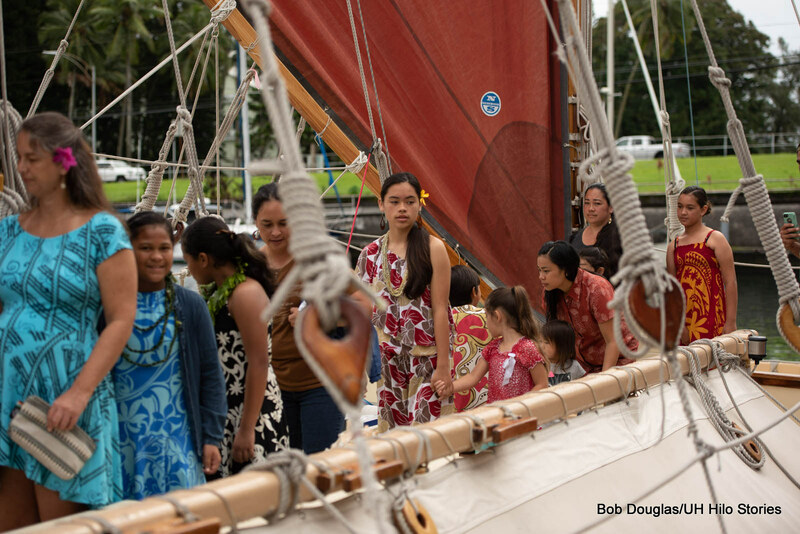 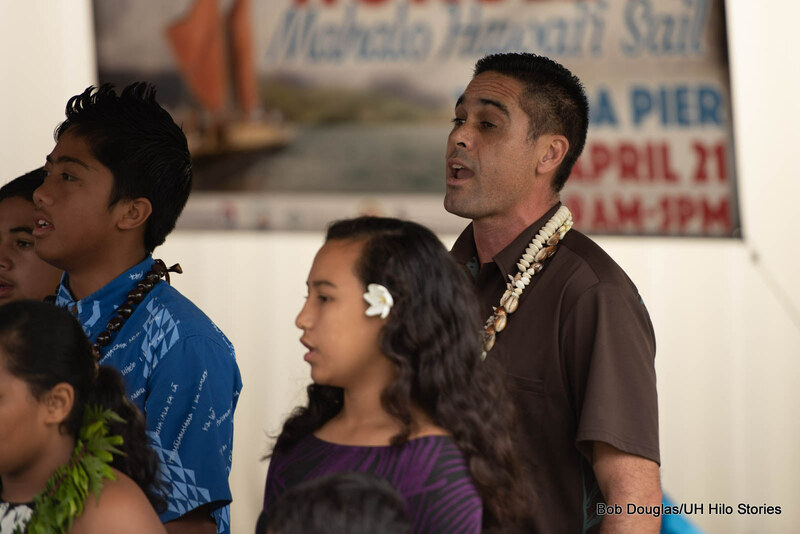 The Hōkūle’a is on a six-month statewide journey as the crew expresses mahalo to numerous communities for their support of the three-year Mālama Honua Worldwide Voyage from 2014 to 2017. 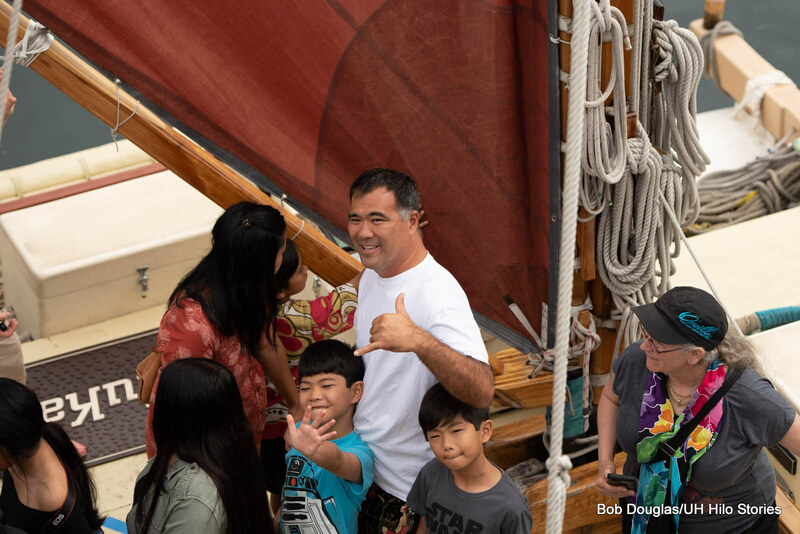 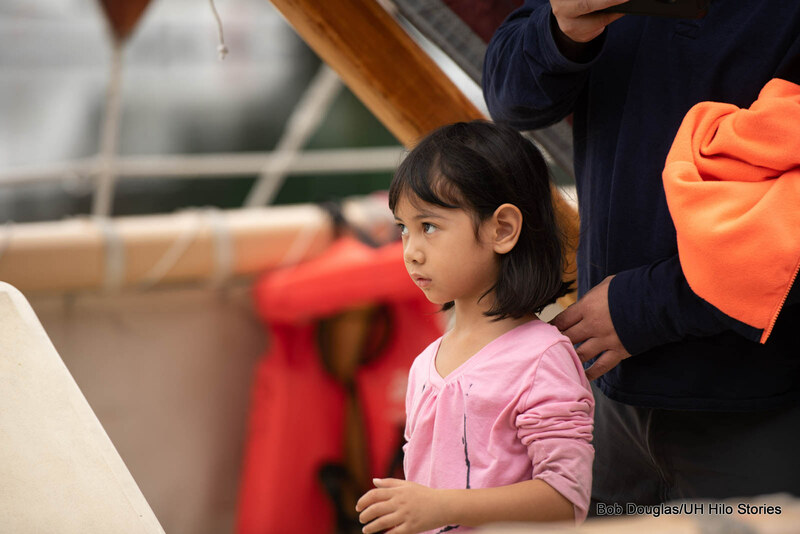 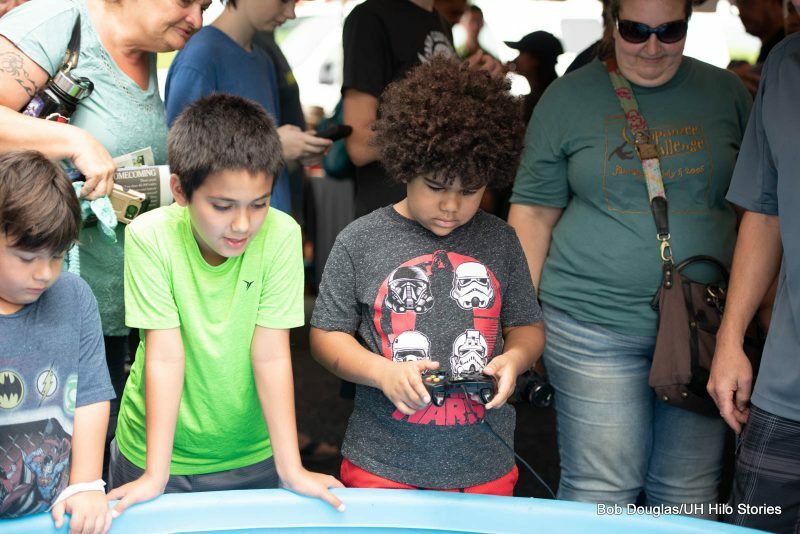 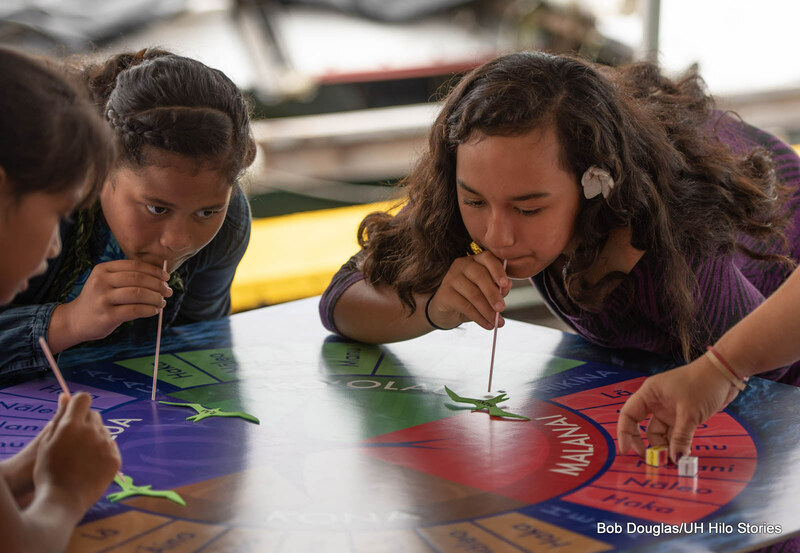 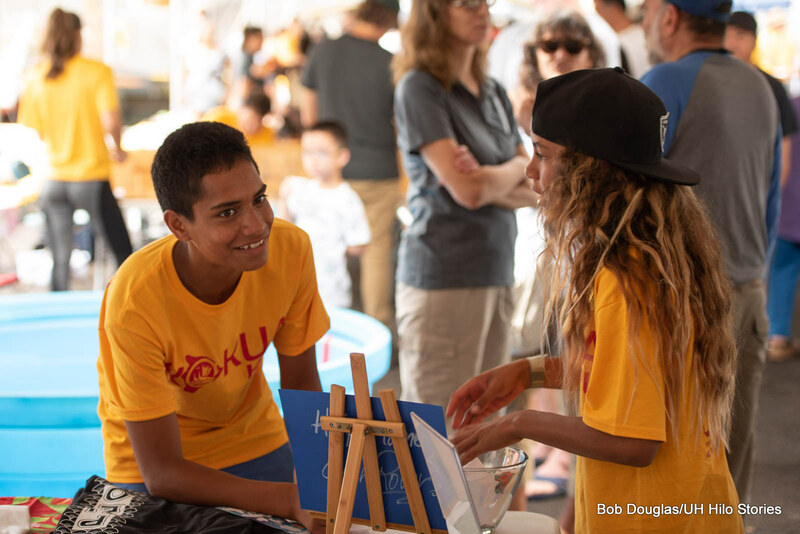 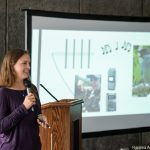 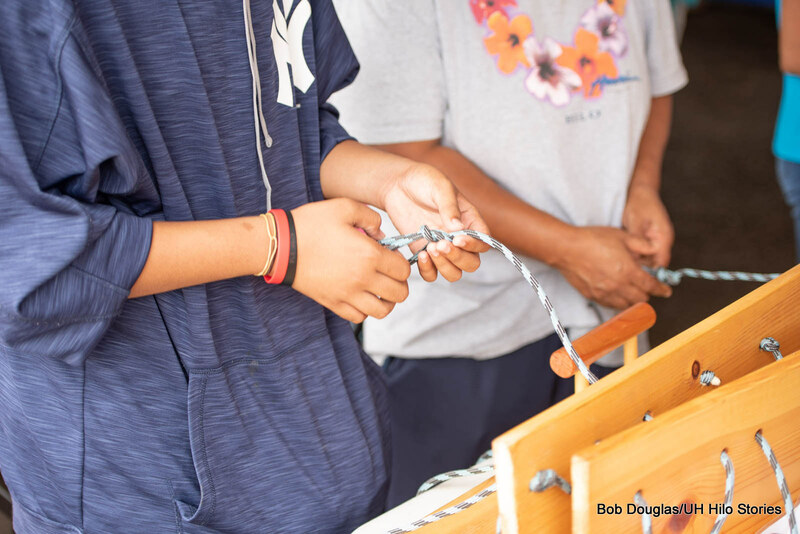 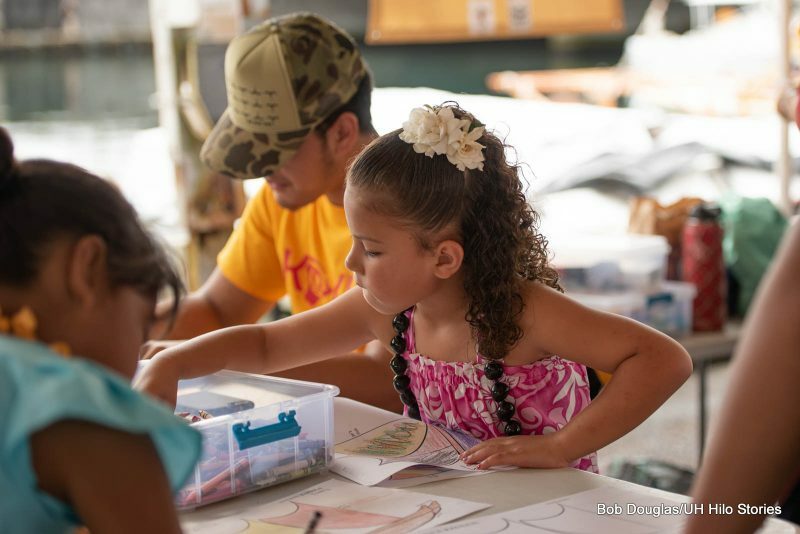 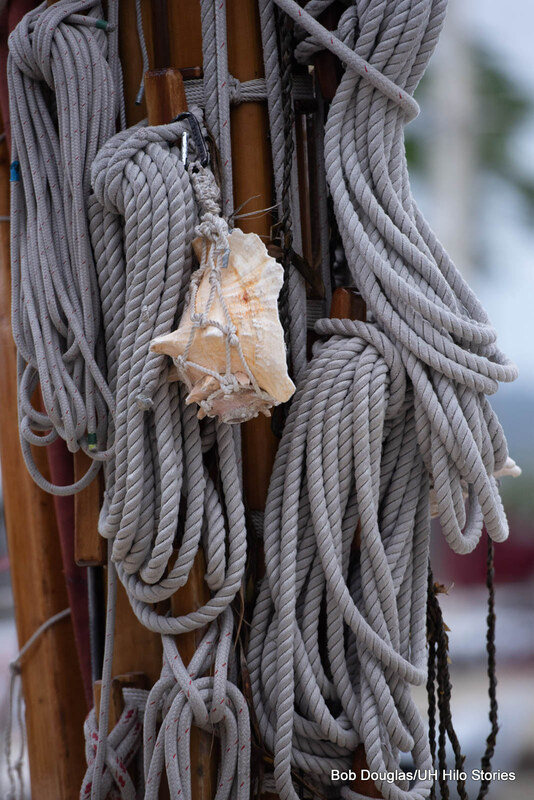 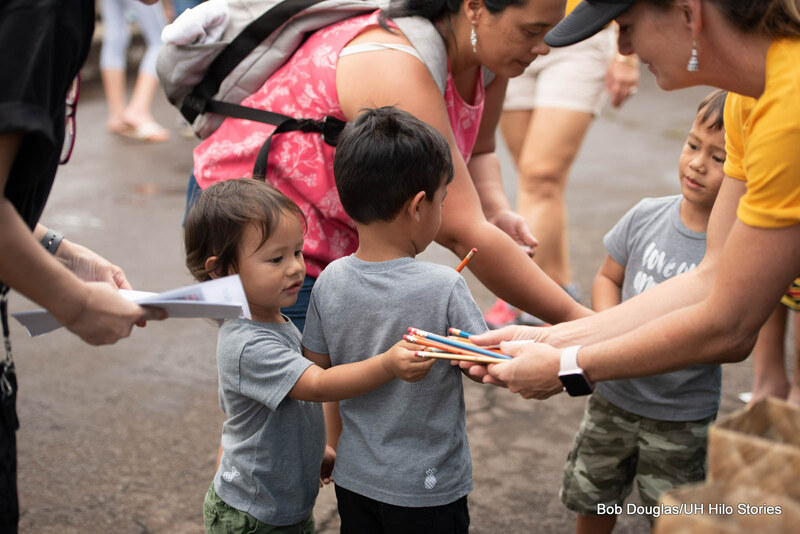 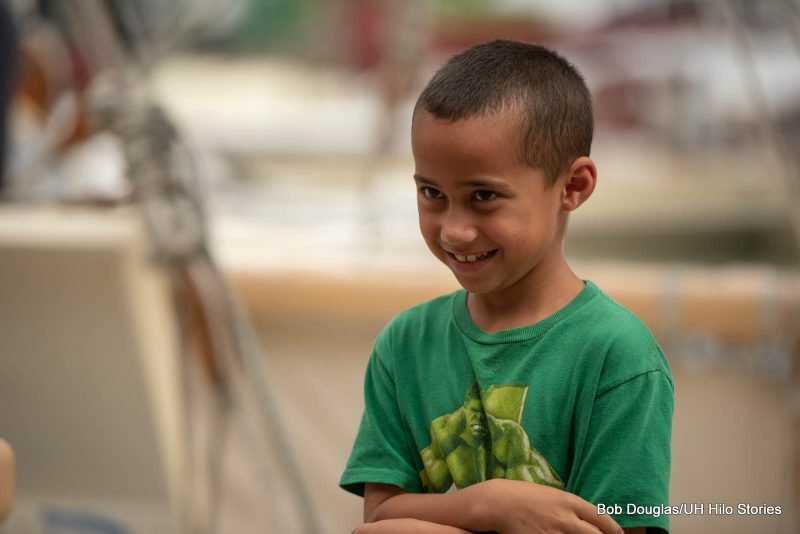 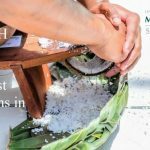 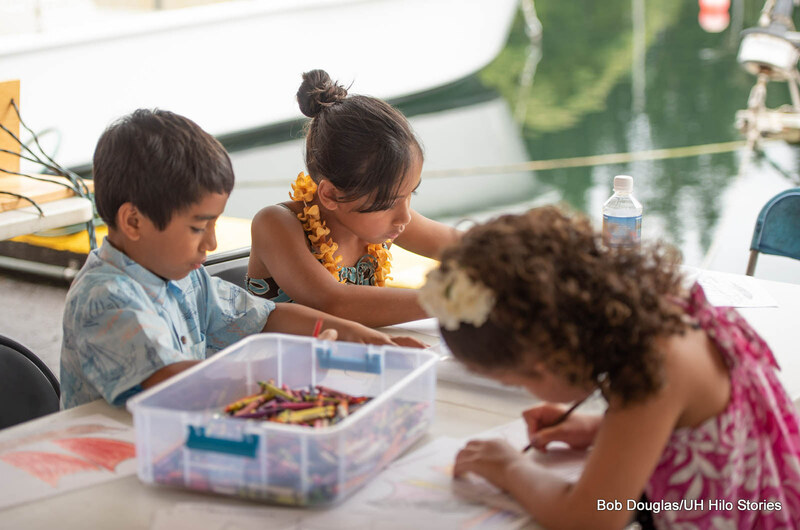 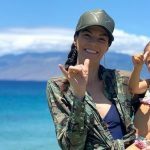 Another purpose of the Mahalo Hawai’i Sail is to reach out to thousands of schoolchildren with canoe tours and hands-on educational activities to showcase ocean navigation’s connection to science, math, culture and conservation. 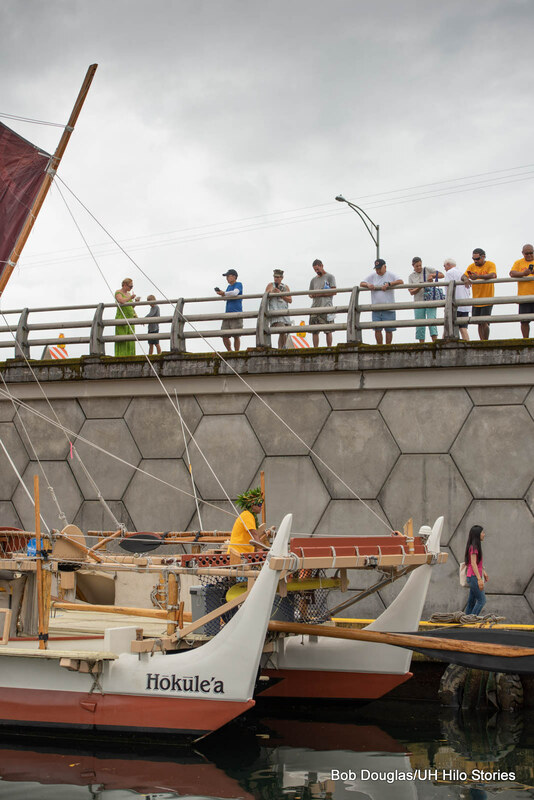 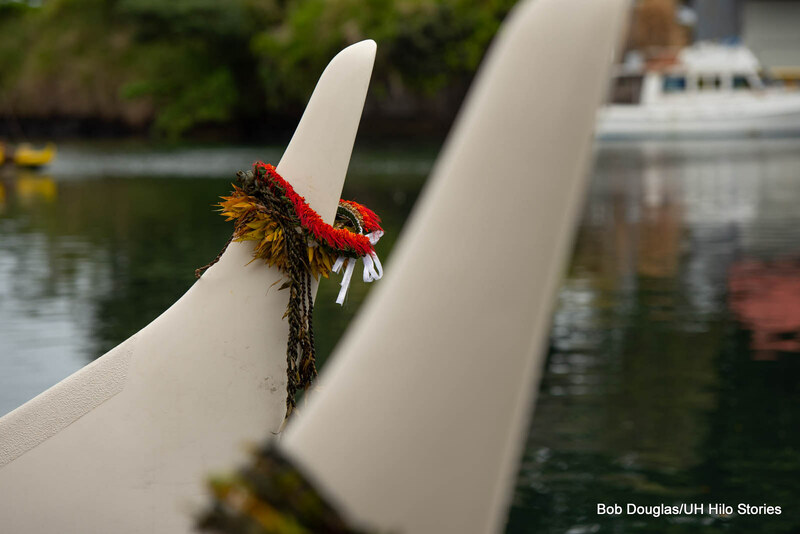 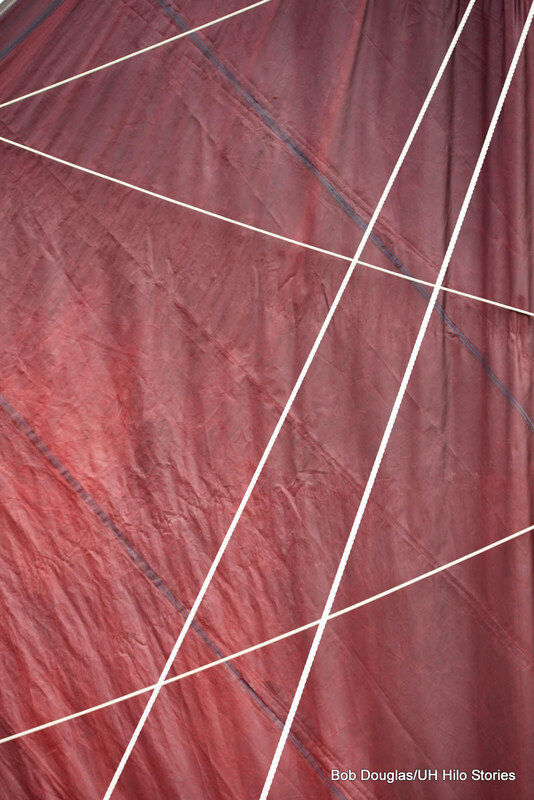 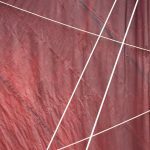 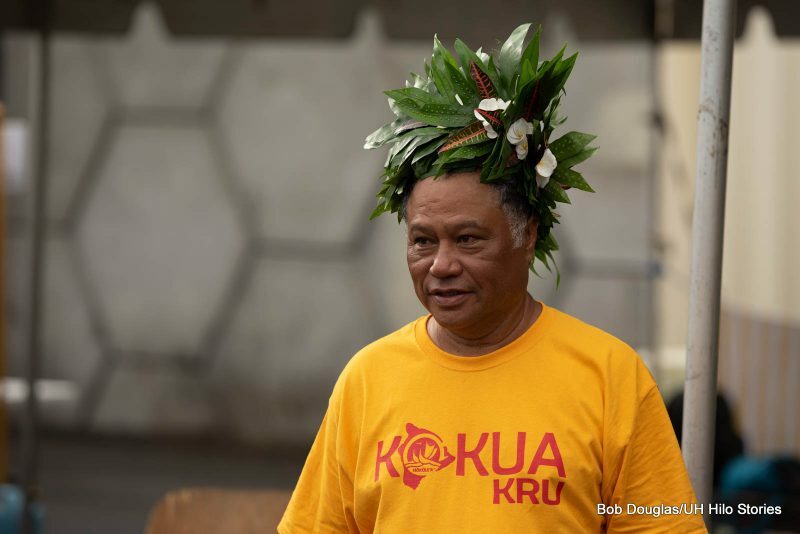 See Interim Chancellor’s Monthly Column: Come celebrate Hōkūleʻa visiting Hilo this month. 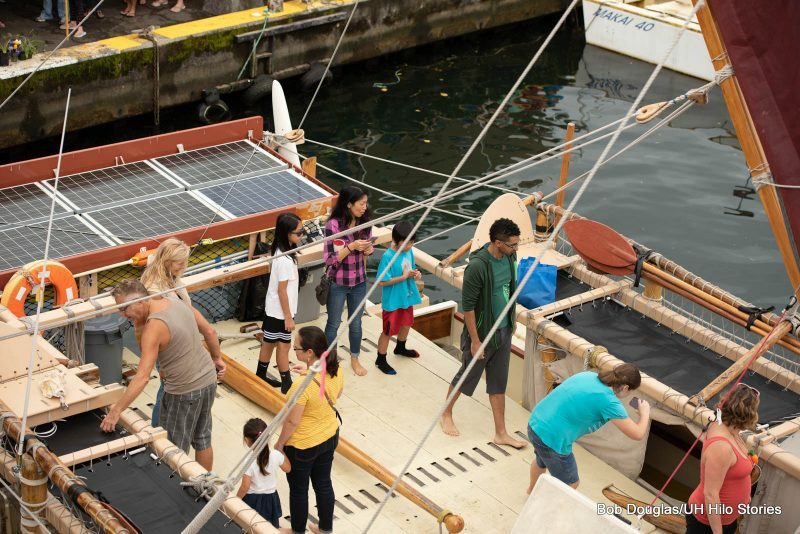 Kālepa Baybayan at the Hilo event last Saturday. 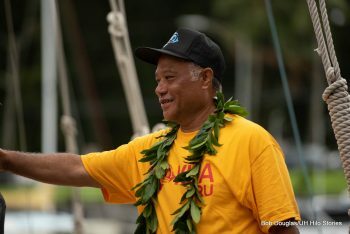 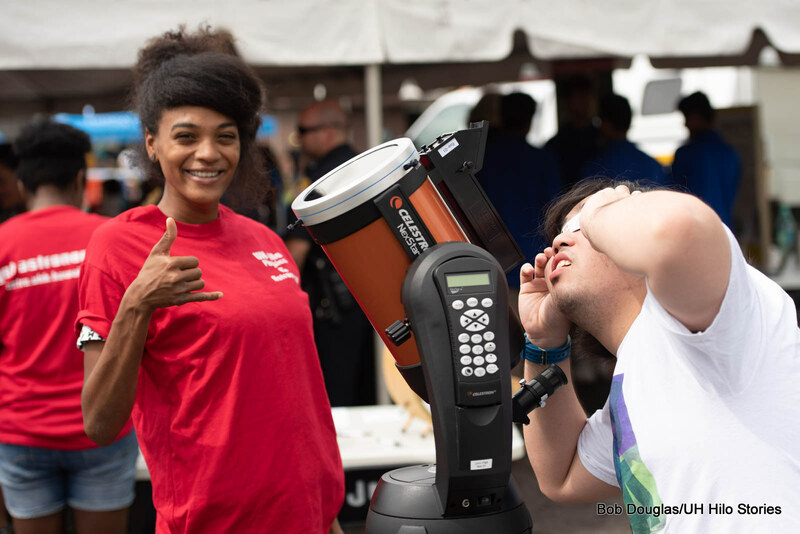 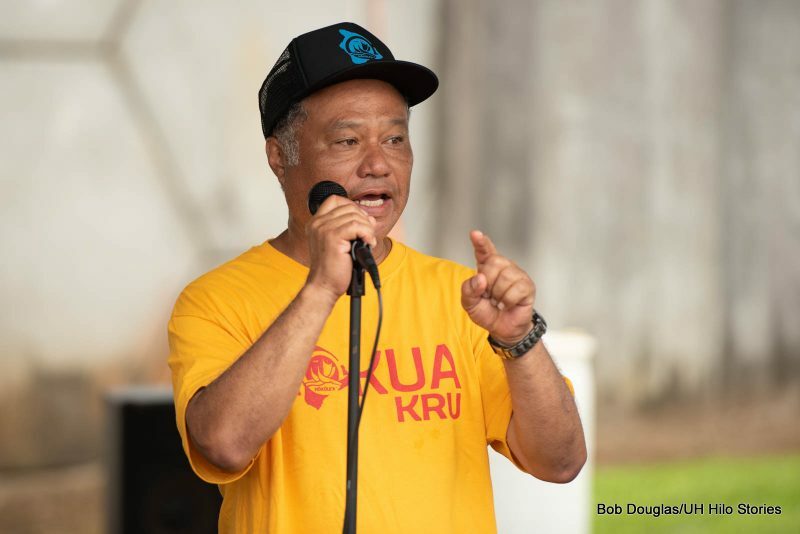 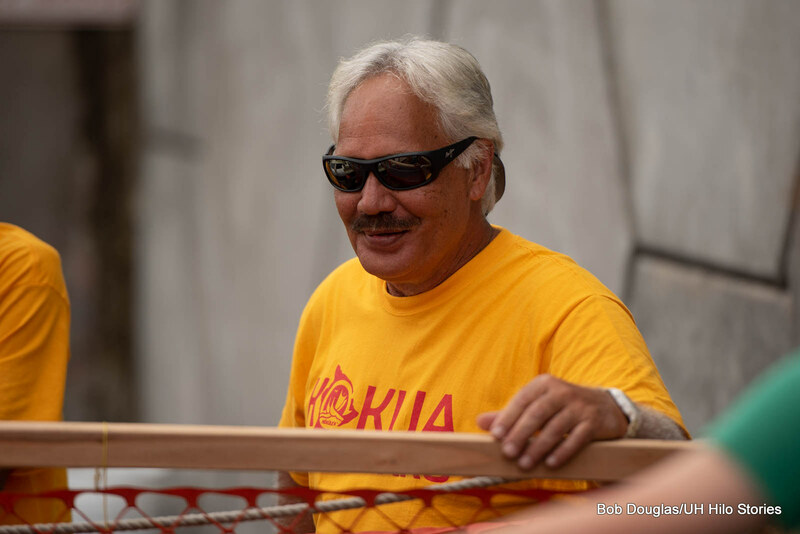 Kālepa Baybayan, an alumnus of UH Hilo who has captained and navigated the Hawaiian deep-sea voyaging canoes Hōkūle‘a, Hawai‘iloa, and Hōkūalaka‘i, and serves as navigator-in-residence at the ‘Imiloa Astronomy Center, was lead person for the Hawai’i Island leg of the Mahalo Hawai’i Sail. 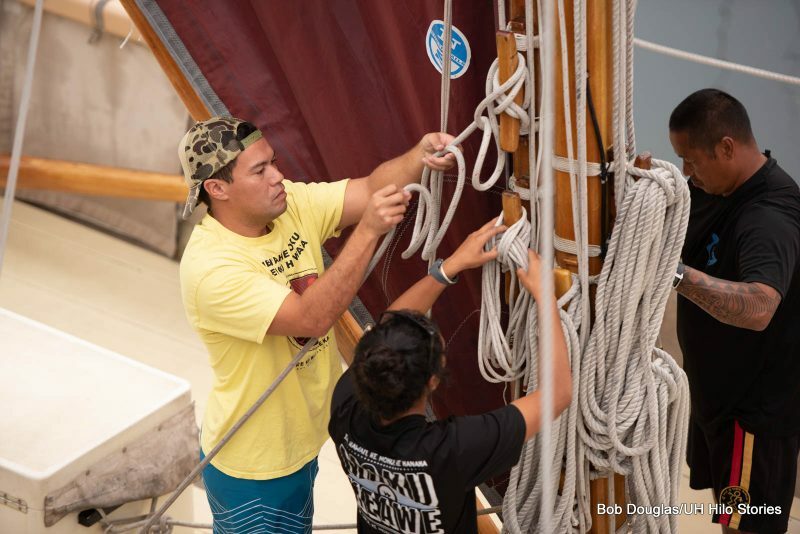 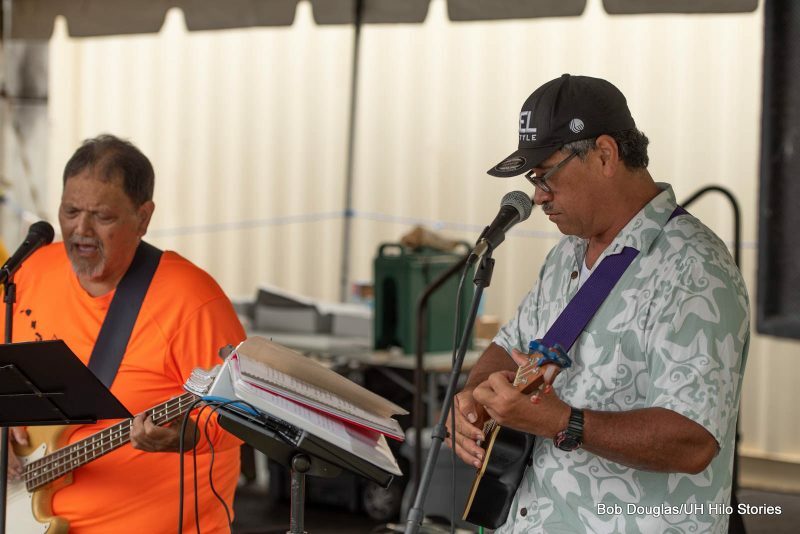 Planning of the Hawai‘i Island visit was done through the Polynesian Voyaging Society’s support and sponsors ‘Imiloa, the County of Hawai‘i, the Grand Naniloa Hotel, Friends of Hōkūle‘a and Hawai‘iloa, Hawaiian Airlines, and UH Hilo. 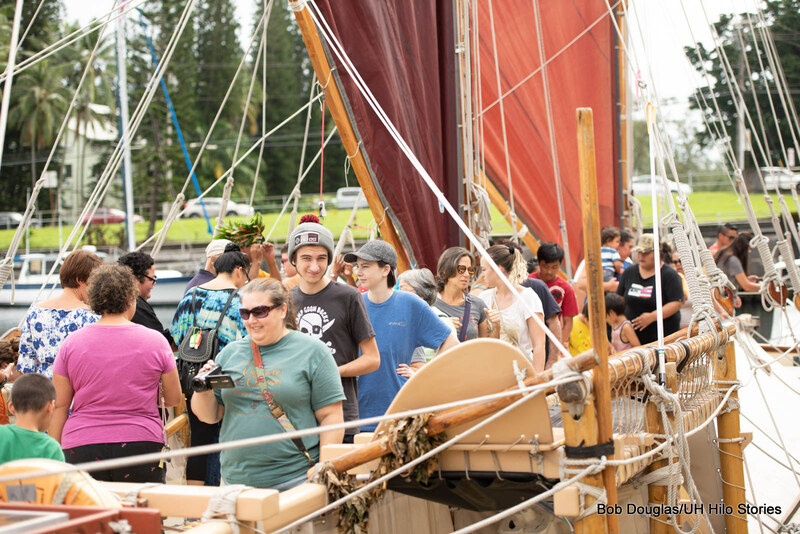 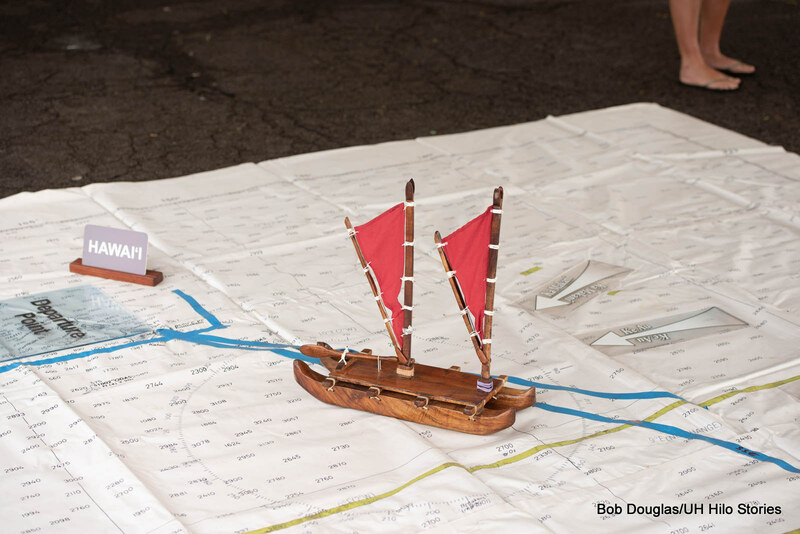 At the Hilo event, crew members gave presentations, canoe tours, and shared wayfinding lore and lessons learned from the voyage. 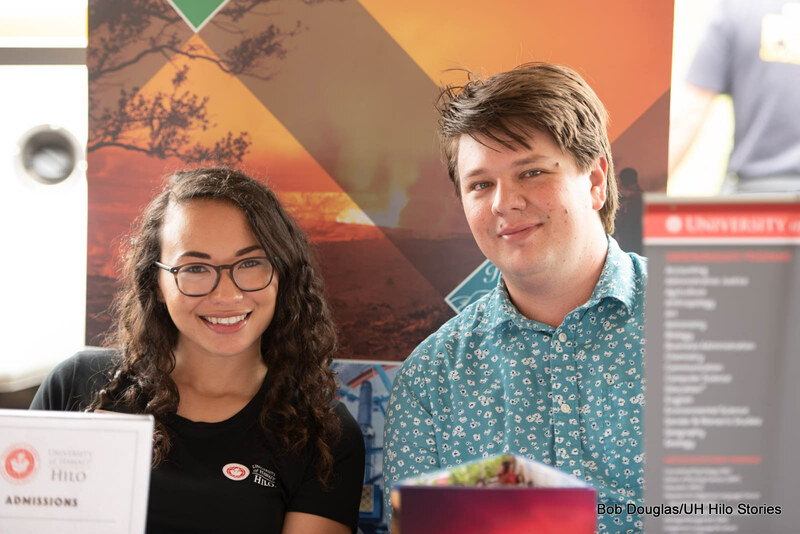 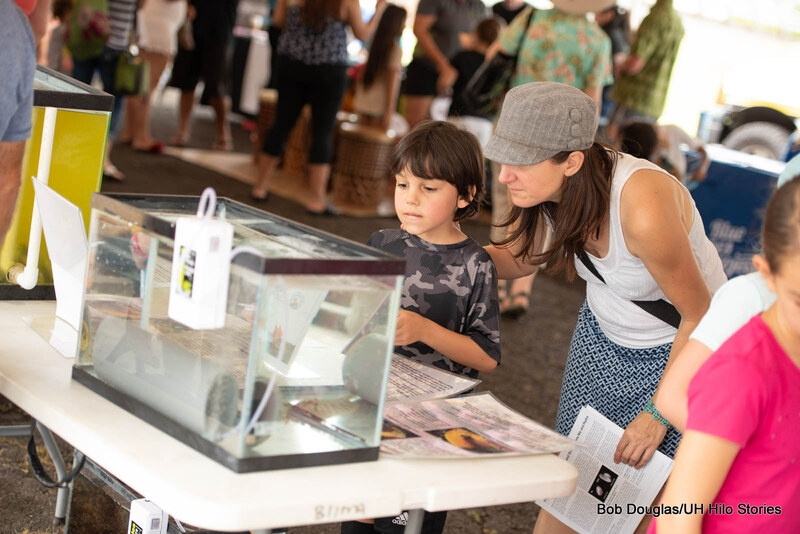 In conjunction with the canoe tours, UH Hilo co-sponsored an education expo where exhibitors featured educational opportunities and environmental stewardship programs to “mālama honua,” or care for the planet. 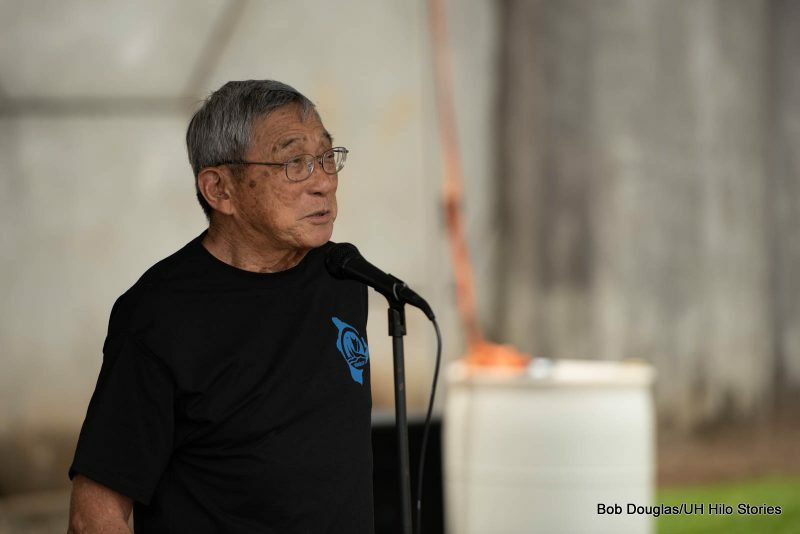 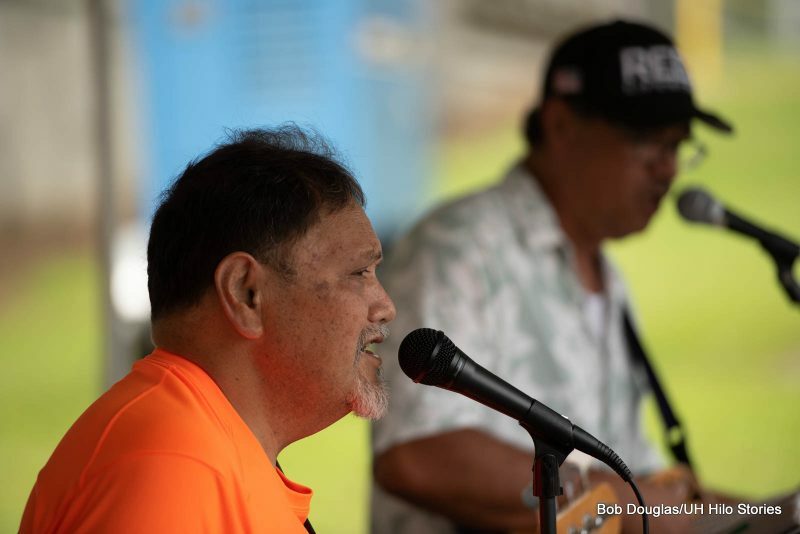 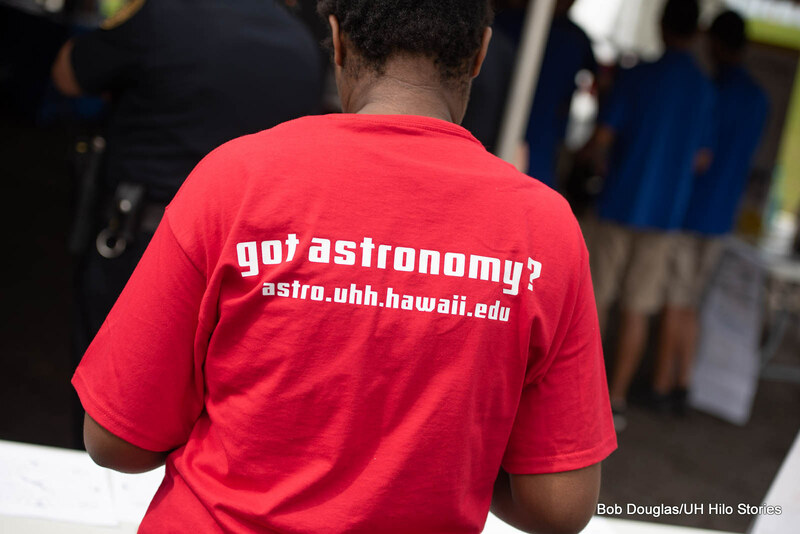 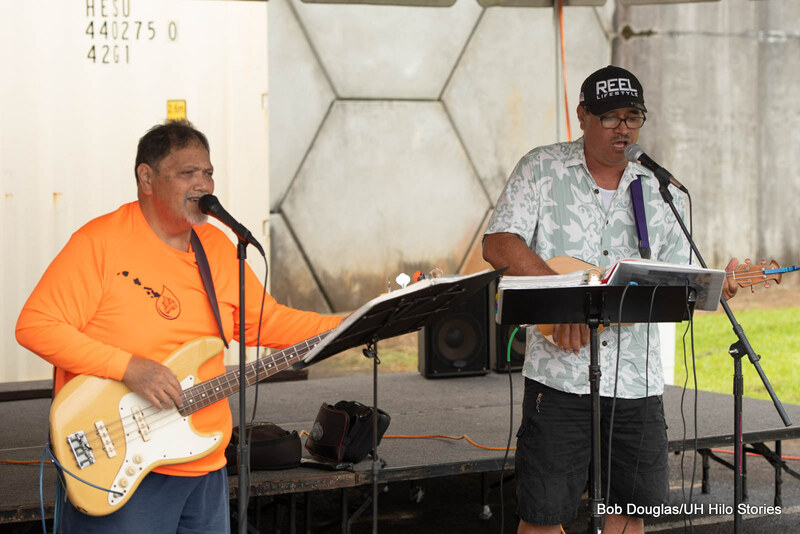 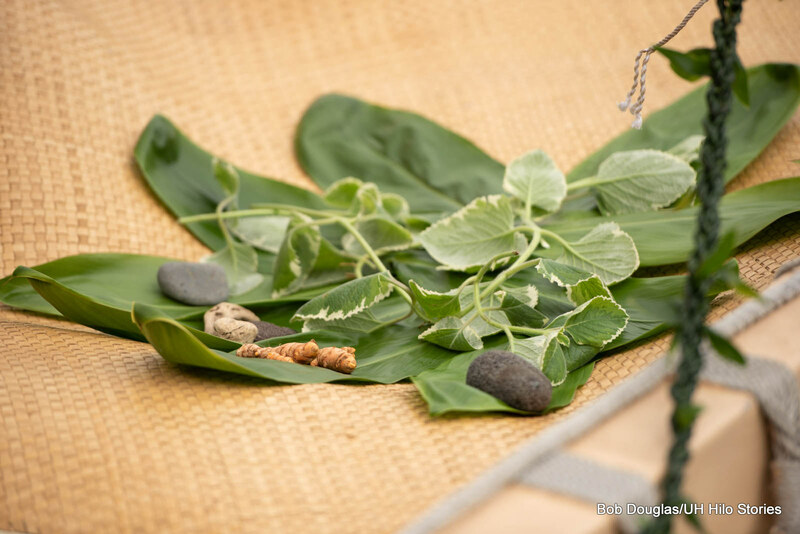 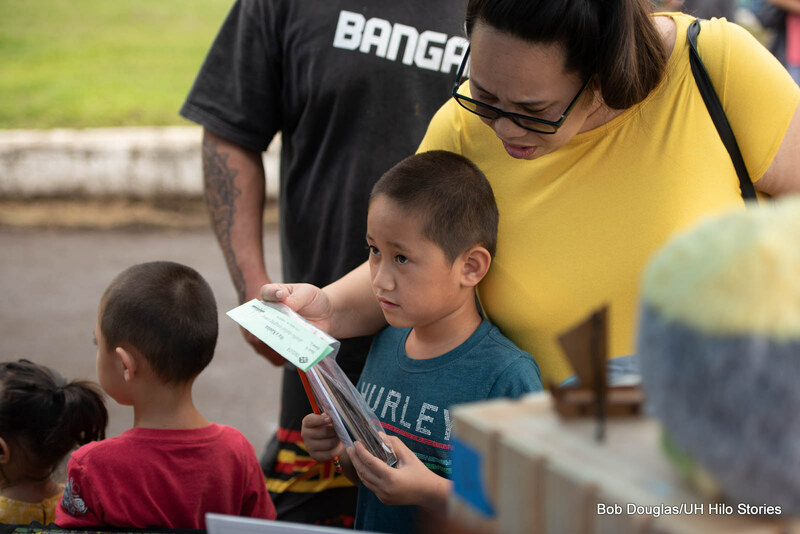 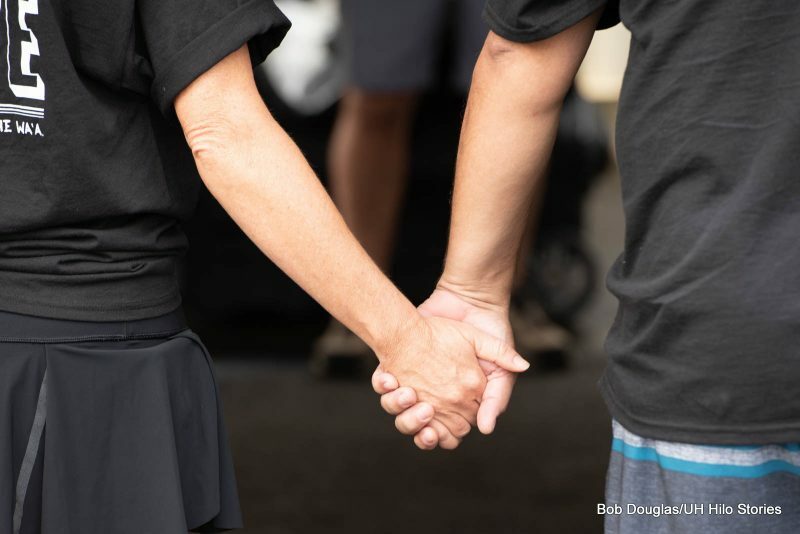 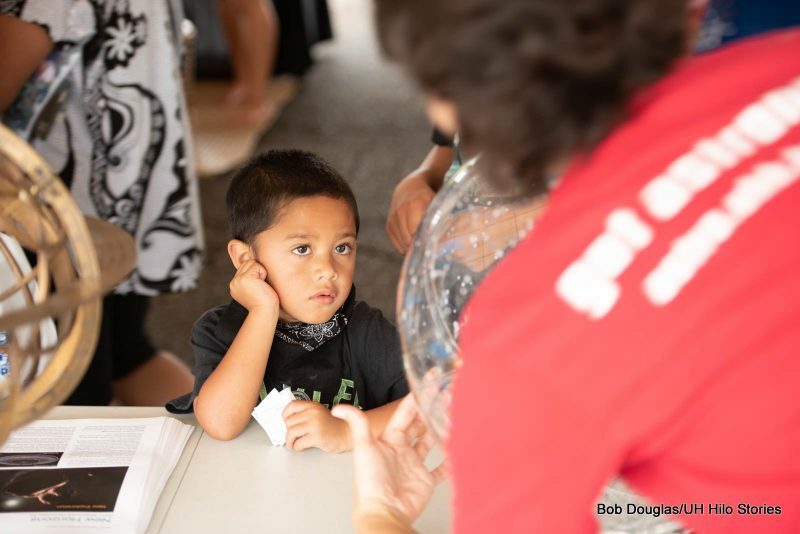 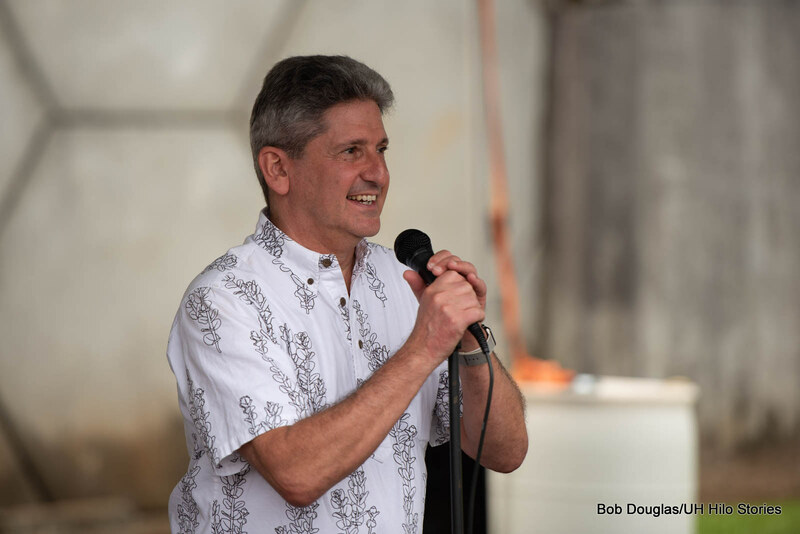 Photos by Bob Douglas for UH Hilo Stories, click to enlarge.